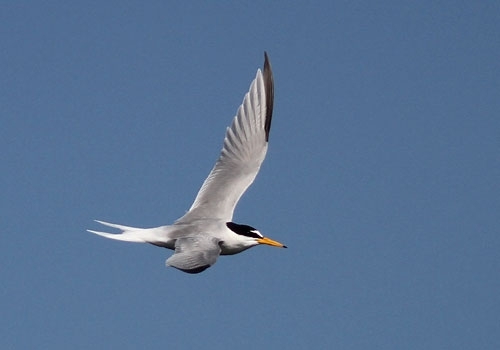 A small, migratory seabird, the Little Tern is slender with a streamlined body, narrow, sharp-pointed wings and a deeply forked tail. 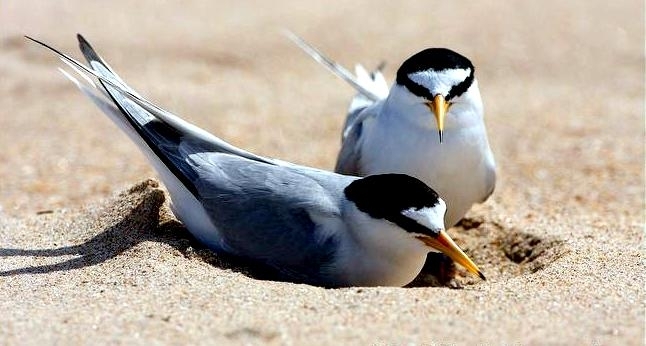 In breeding plumage, the Little Tern has a neat black cap and a tapering stripe between the bill and eyes. 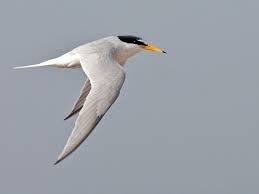 A triangular patch of white is visible on the forehead and the rest of the head and neck are white. 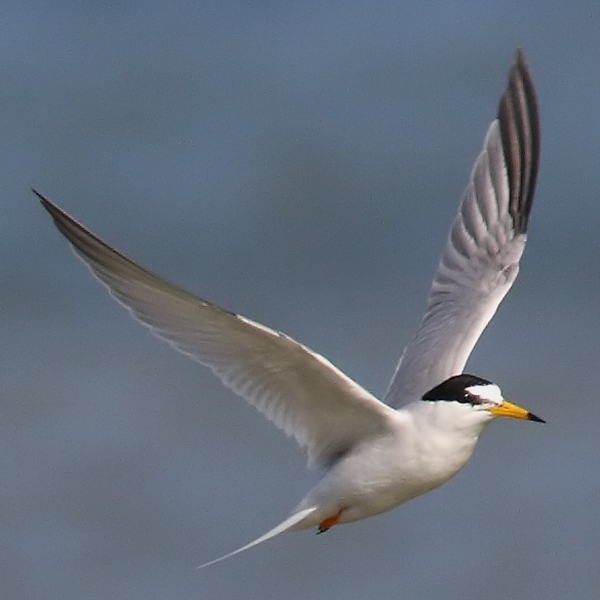 The upper-parts of the Little Tern are pale gray, contrasting with the entirely white underparts. 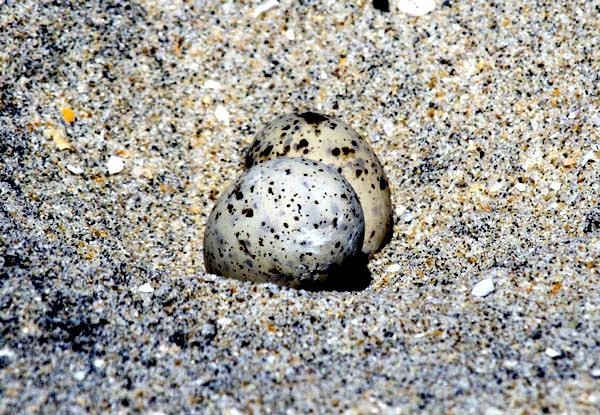 The outer primaries are usually slightly darker gray and a white line runs along their upper edge, with a thin black line visible across the bottom edge. 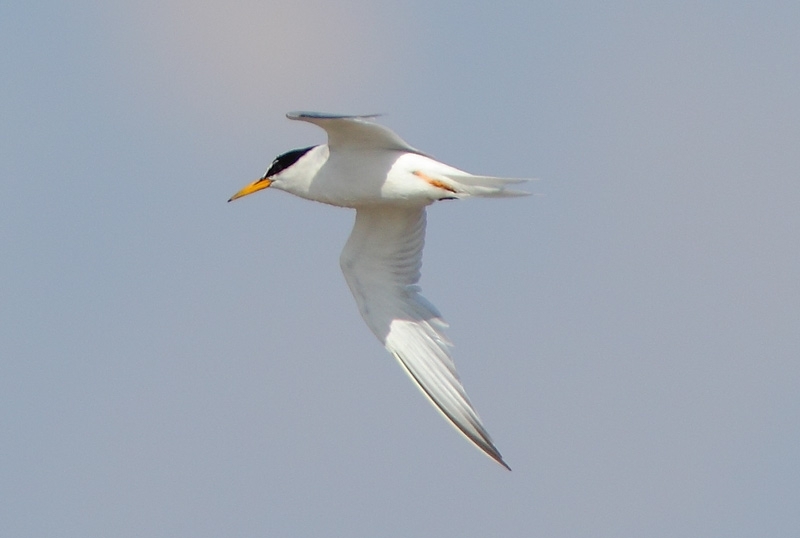 In flight, a thin black band is visible on the edge of the wing. 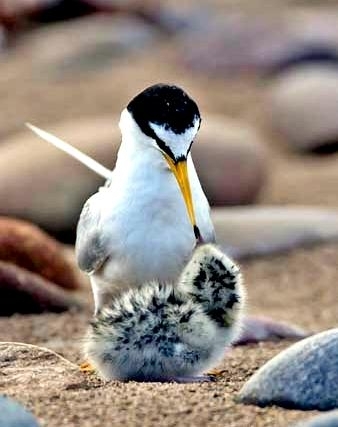 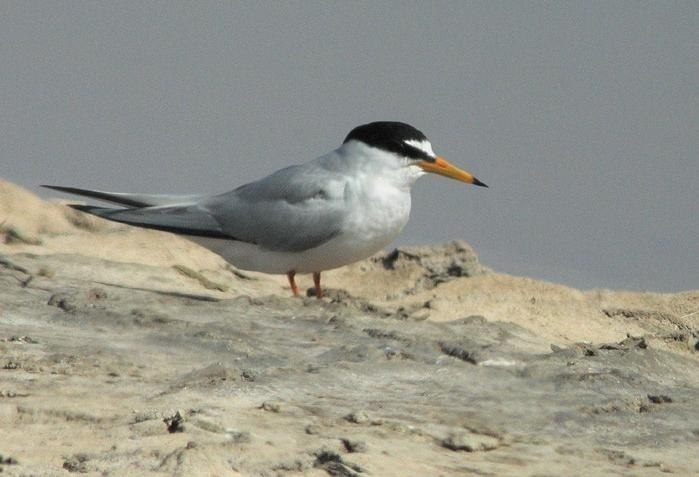 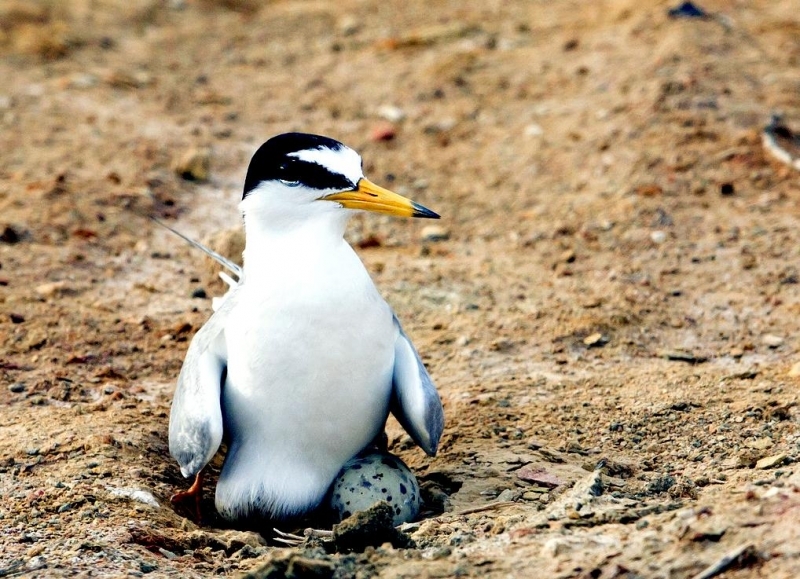 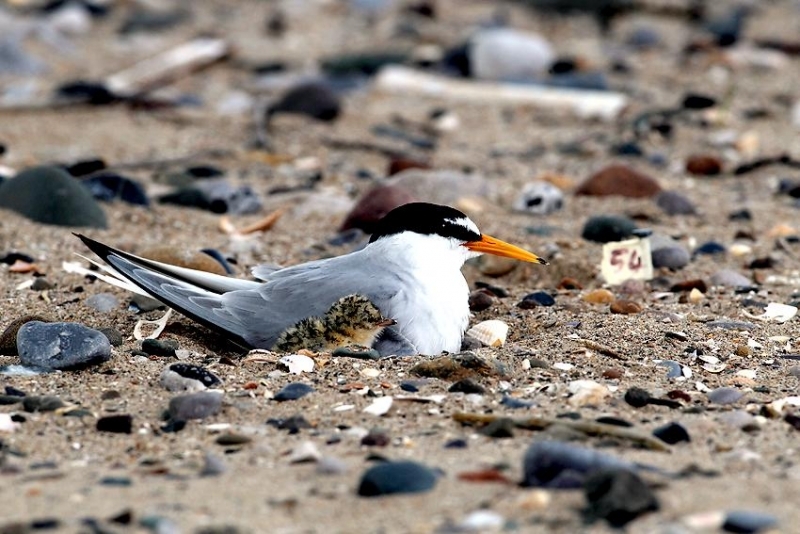 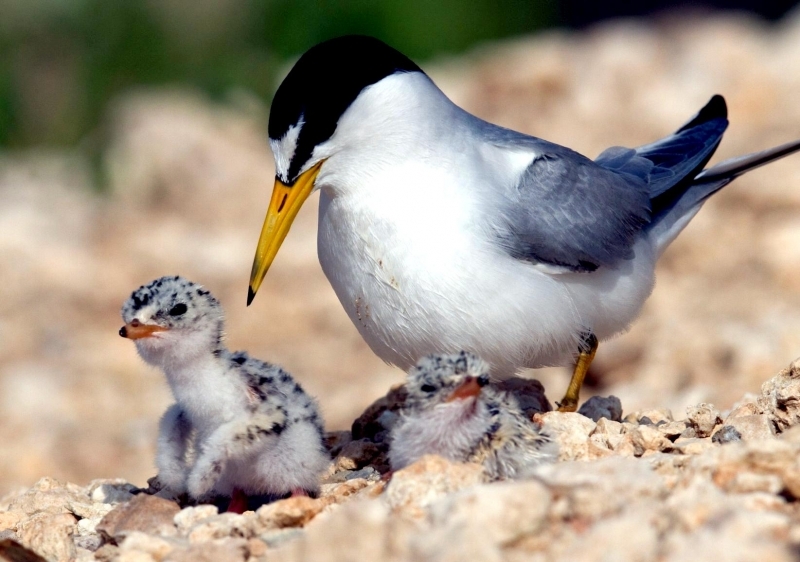 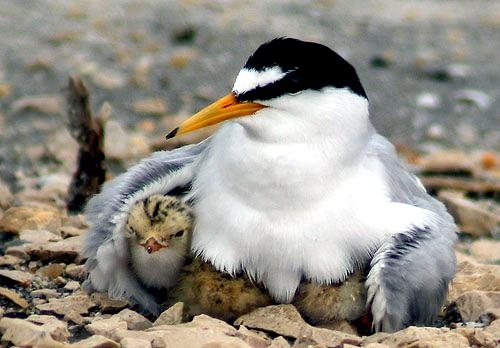 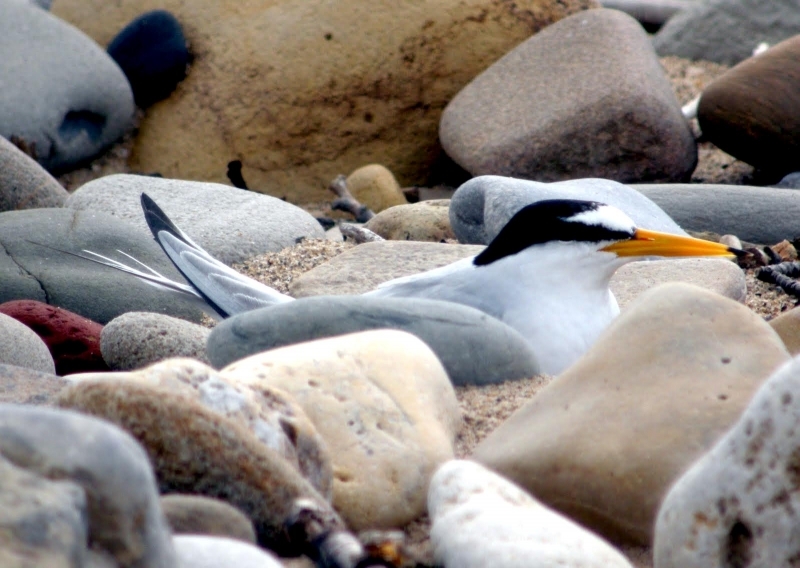 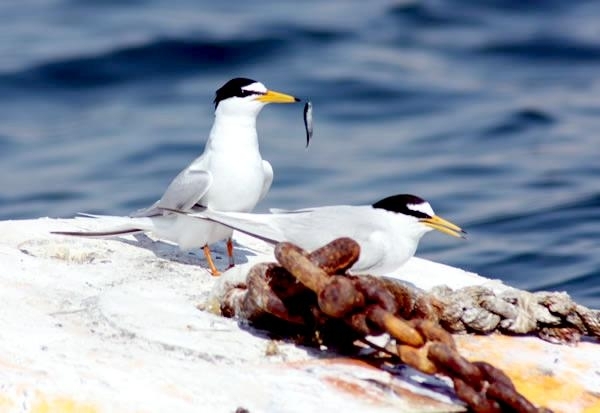 During the breeding season, the Little Tern has a bright yellow bill with a small black tip, black eyes and bright yellow-orange legs and feet. 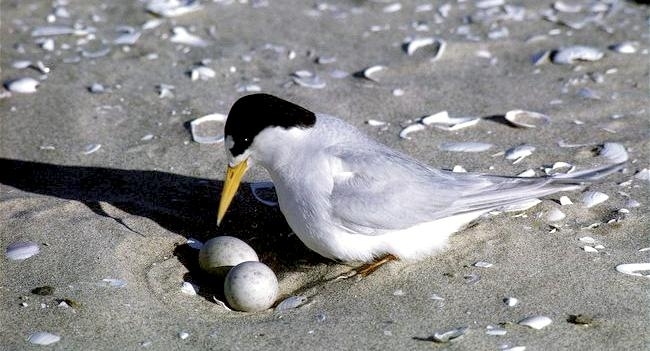 Outside of the breeding season, the distinctive black cap of the Little Tern becomes smaller and the crown & forehead become more gray-white. 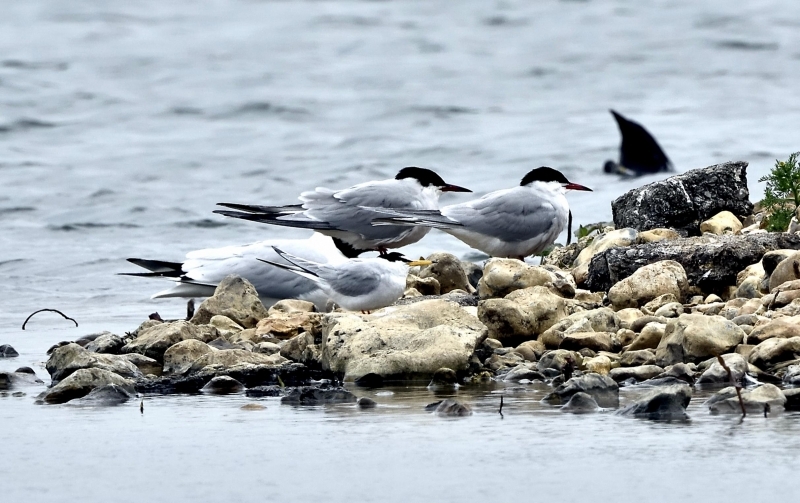 Dark spots on the back of the crown merge with a dark band which extends from in front of the eyes to the back of the neck. 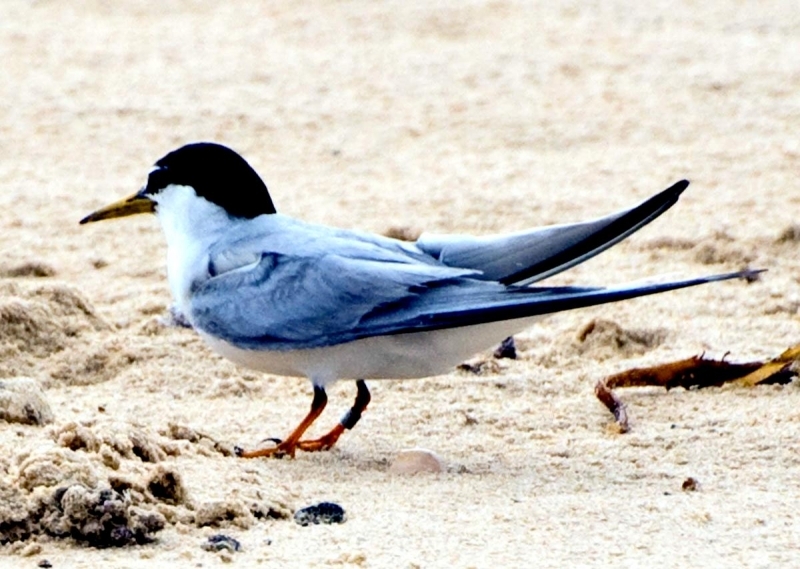 The rump & tail are pale gray and the tail is less deeply forked. 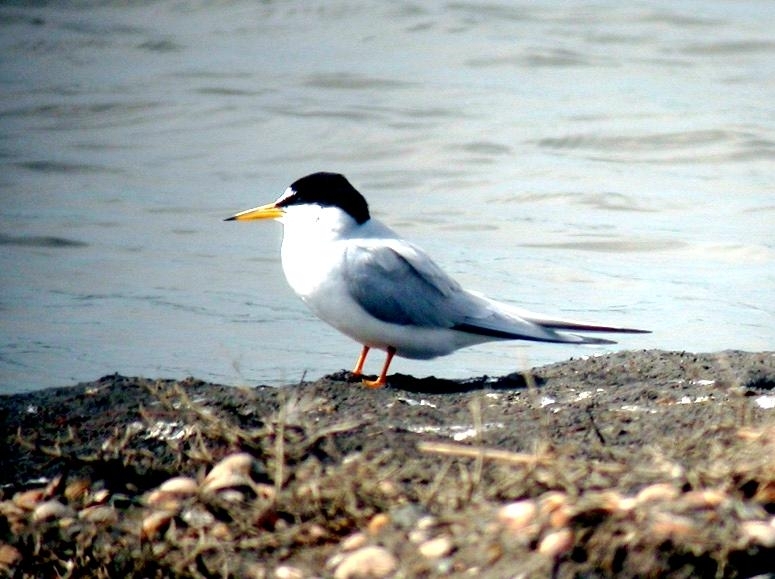 The bill changes from yellow to black and the legs and feet become duller orange-brown. 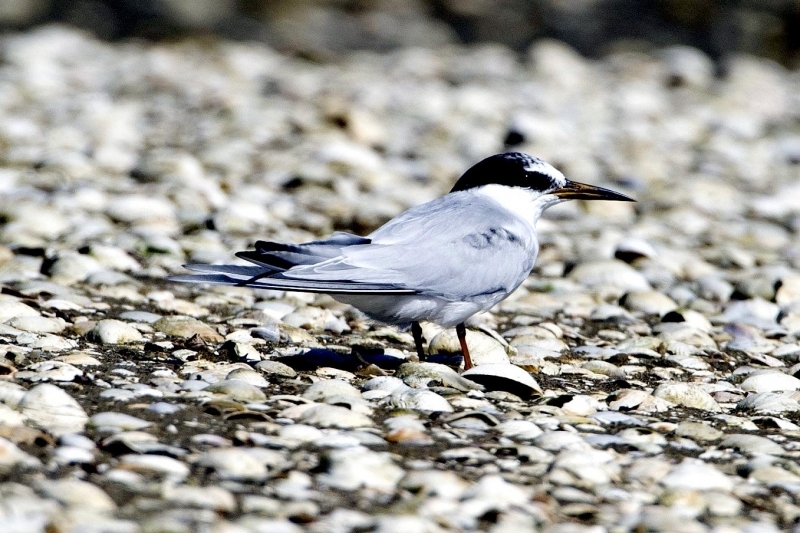 The juvenile Little Tern is very similar to the non-breeding adult, but the black band on the head is narrower and duller. 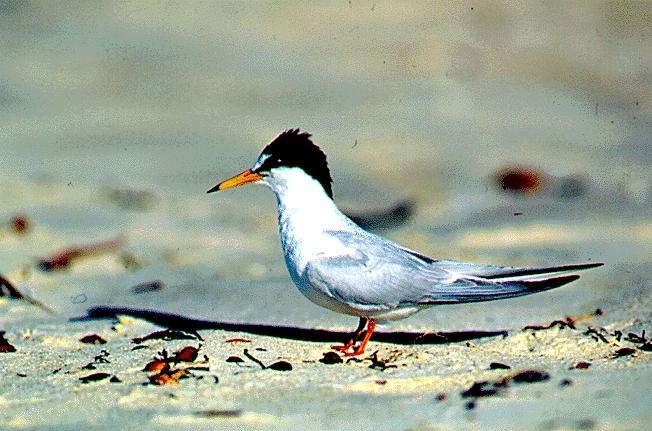 The forehead and crown are washed with brown, while narrow white scaling and brown, U-shaped markings are distinctly visible on the shoulders and the back. 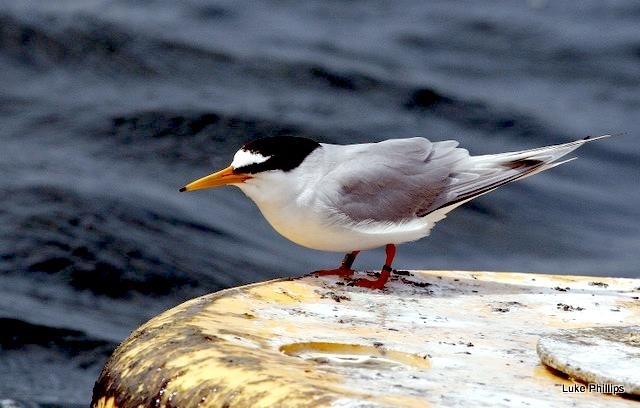 The tail is marked with a thin dark band. 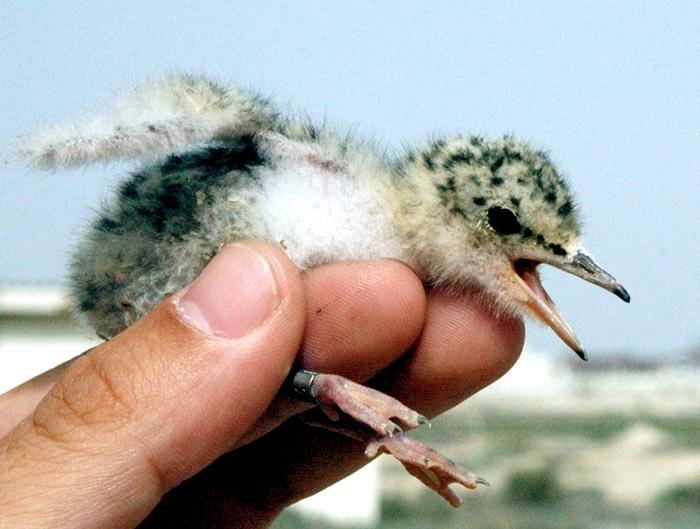 The bill of the juvenile is dark brown with a blackish tip. 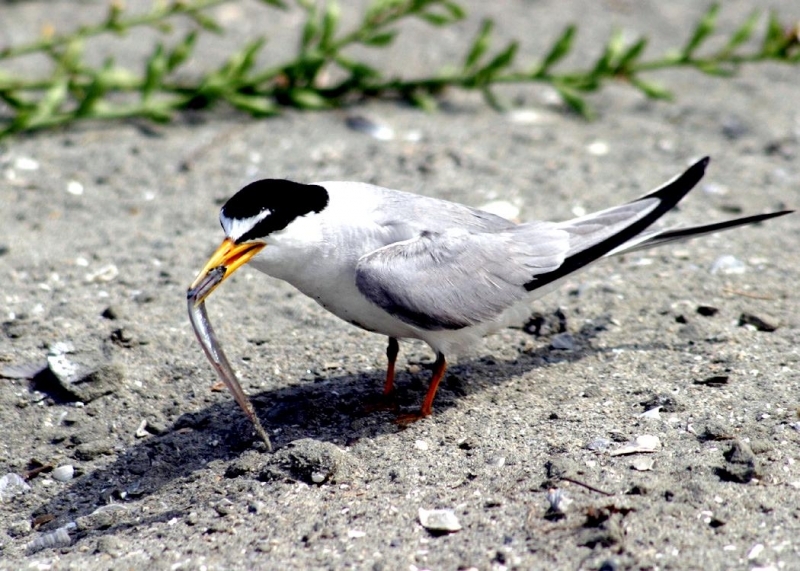 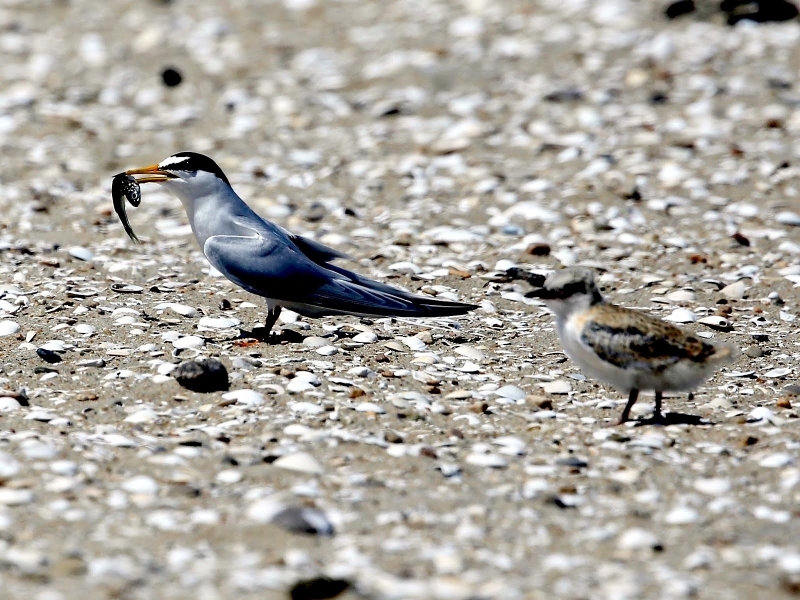 Foraging primarily during the day, the Little Tern usually feeds at low tide on small fish and crustaceans as well as insects, worms and mollusks. 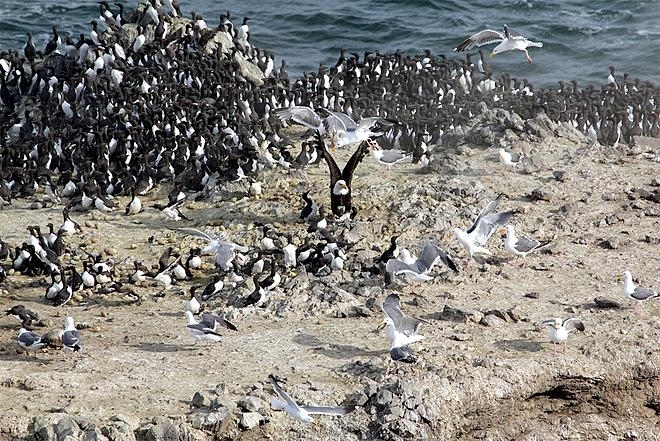 This species generally forages singly or in small, loose flocks, although it may congregate in large groups of many thousands of individuals where food is particularly abundant. 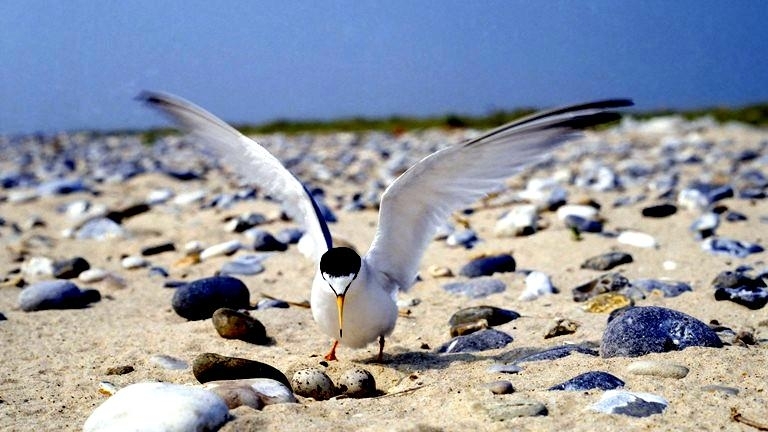 The Little Tern most often hunts for prey in the shallow waters of channels, estuaries & lagoons, in the surf on beaches or along the line of the advancing tide. 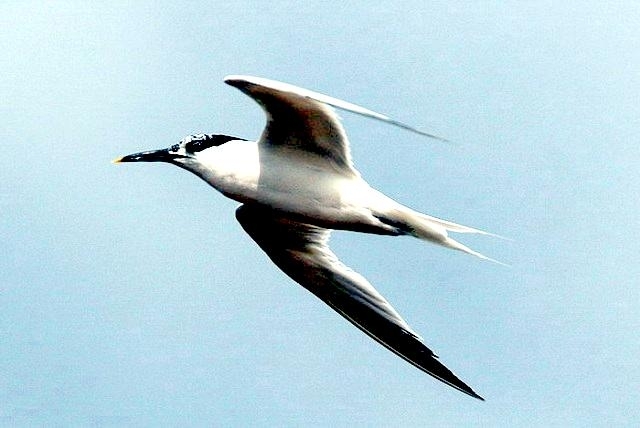 Typically, it catches its prey by plunging into water from around 3 to 10 meters above the surface, after first hovering above the water to seek out prey. 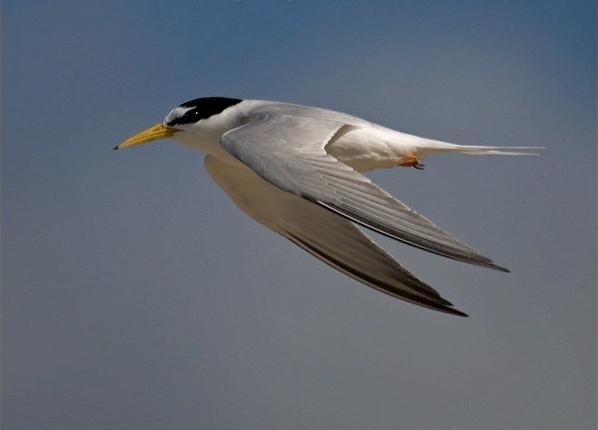 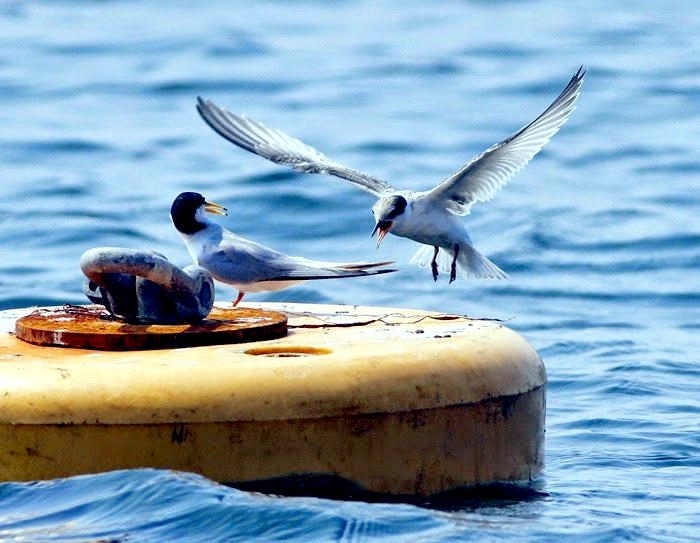 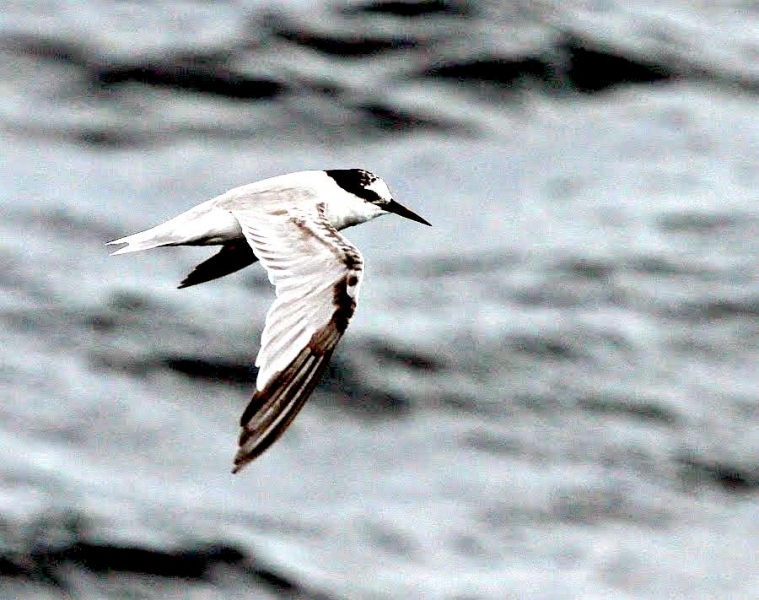 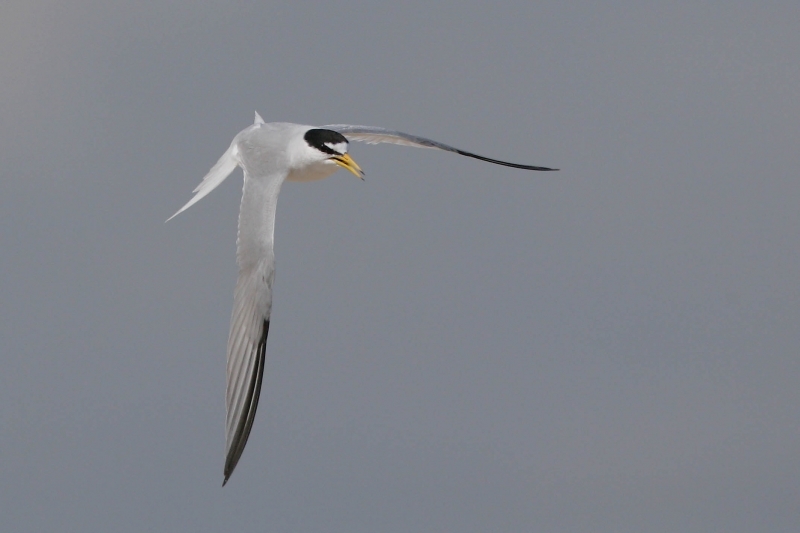 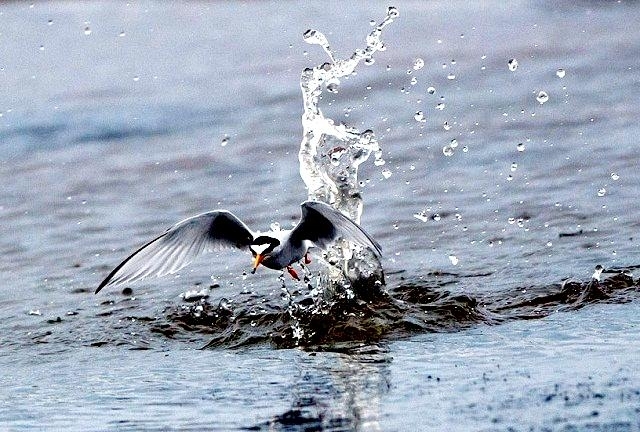 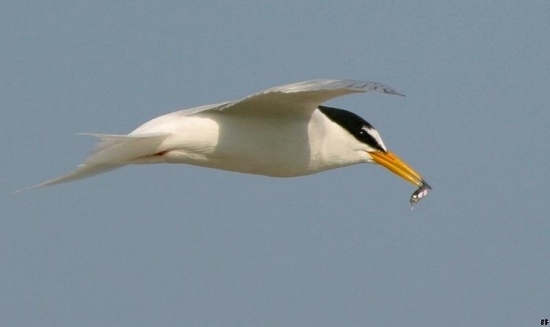 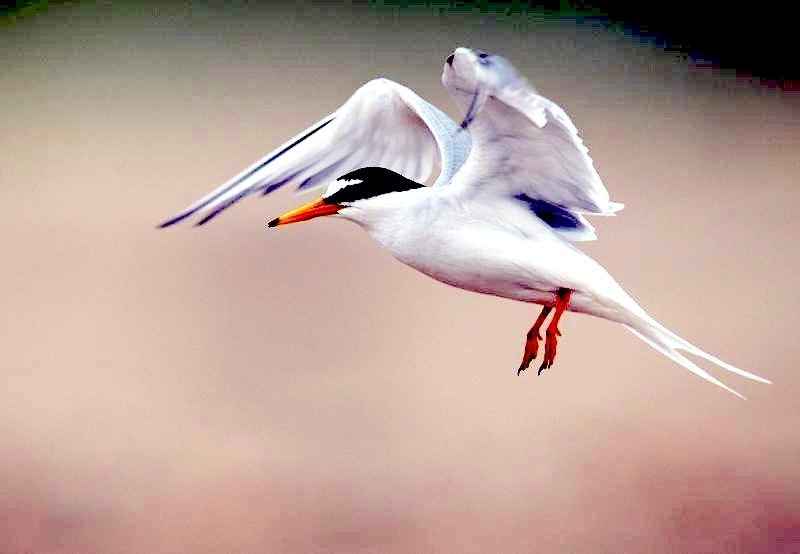 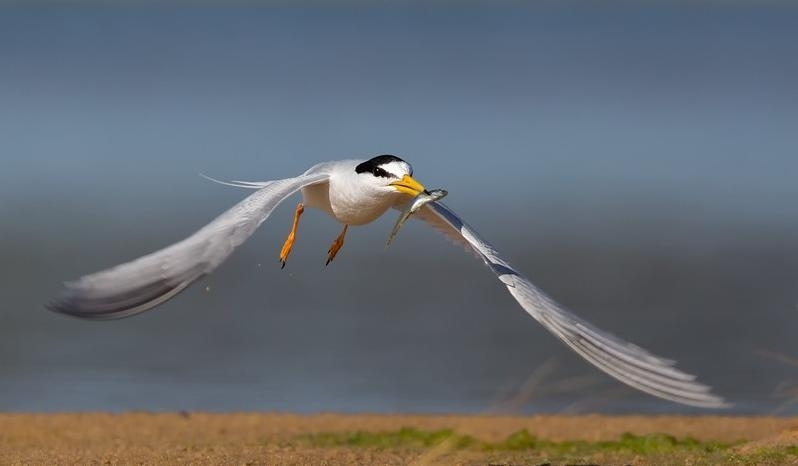 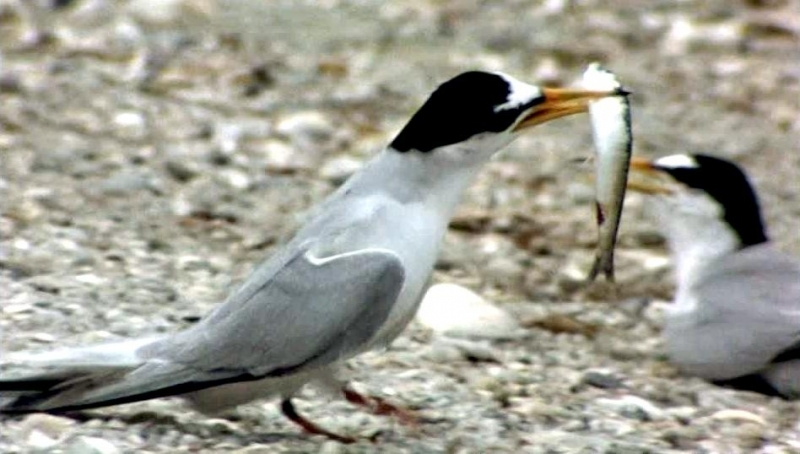 The Little Tern will frequently seek out shoals of small ‘bait fish’, which attract larger predatory fish, performing rapid vertical plunge-dives to capture its prey before the fish disperse. 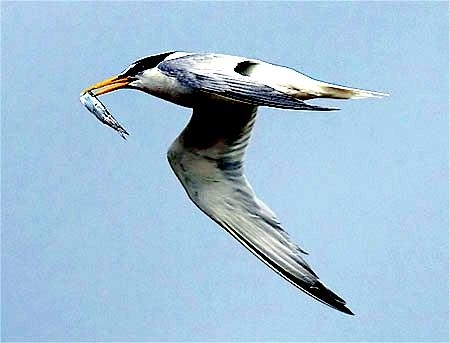 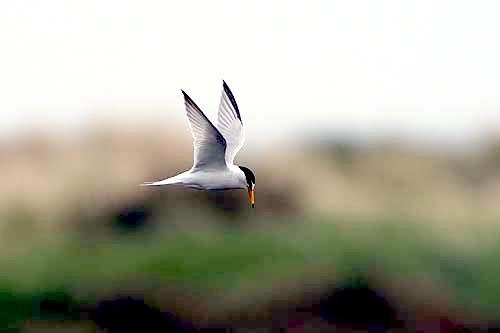 The Little Tern may also glean prey from the surface of the water and may take insects from vegetation while in flight. 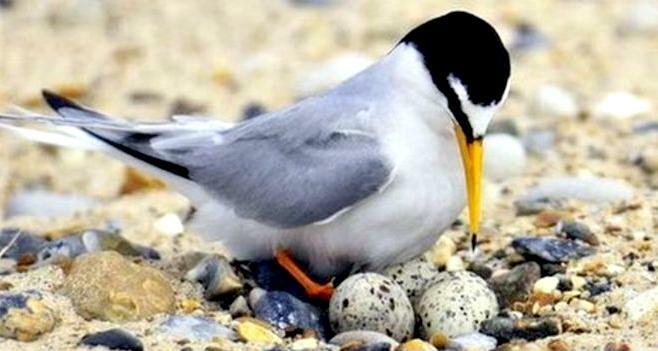 The Little Tern generally breeds between May and July in Europe and Asia and around April in Africa. 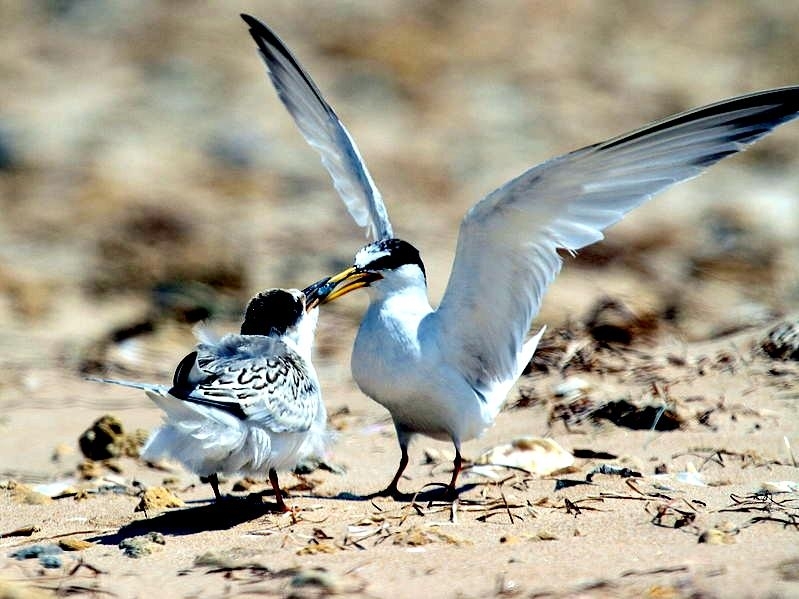 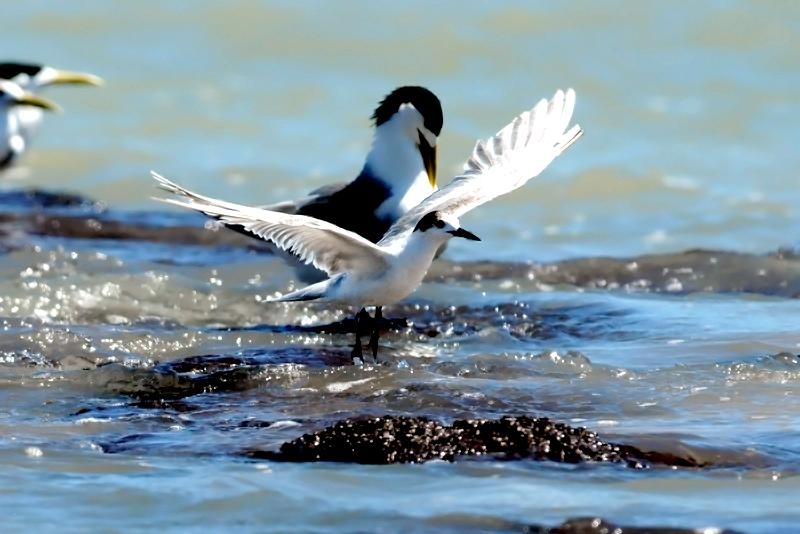 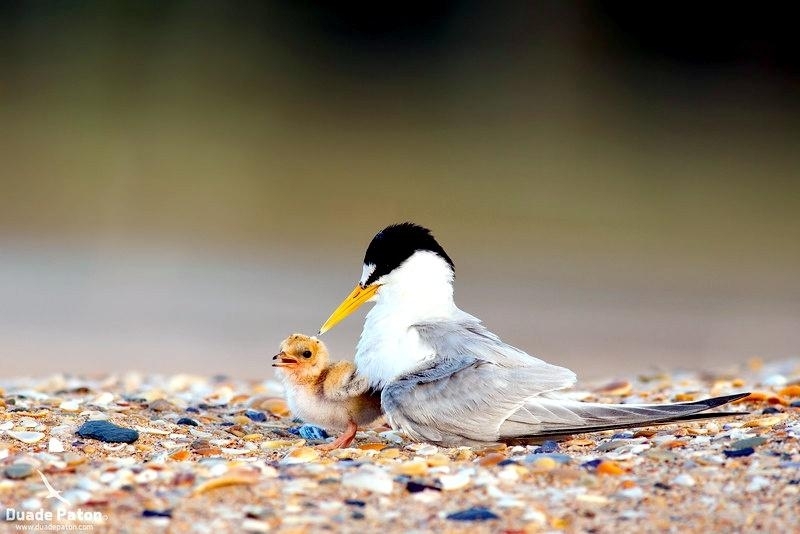 In Australia, the Little Tern has an extended breeding season from April to early January in the Northern Territory and from late August to January or February in the east. 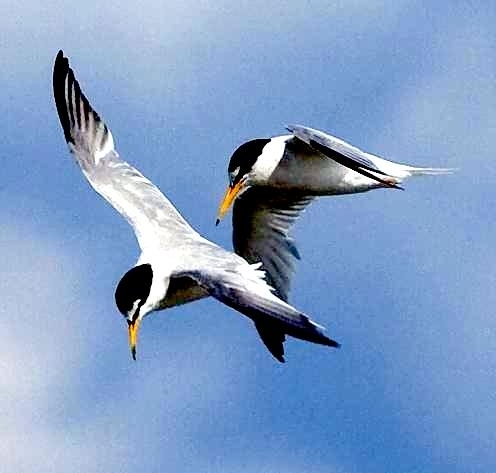 It usually breeds in solitary pairs or in small groups of up to around 15 pairs, although it is occasionally reported to form much larger breeding colonies. 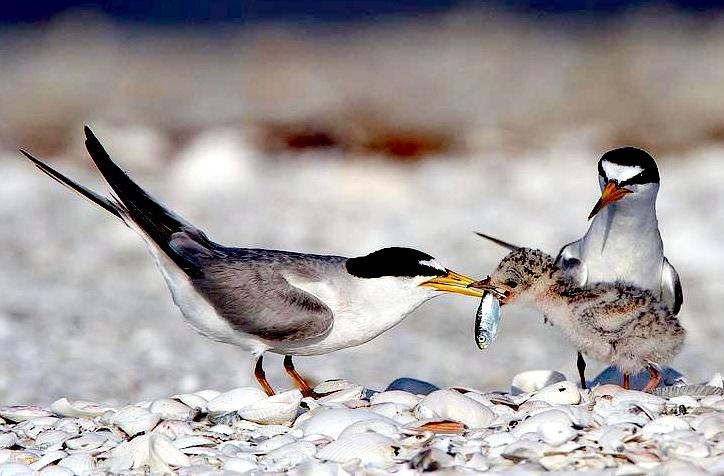 The male Little Tern initiates the courtship ritual by presenting a fish to the female. 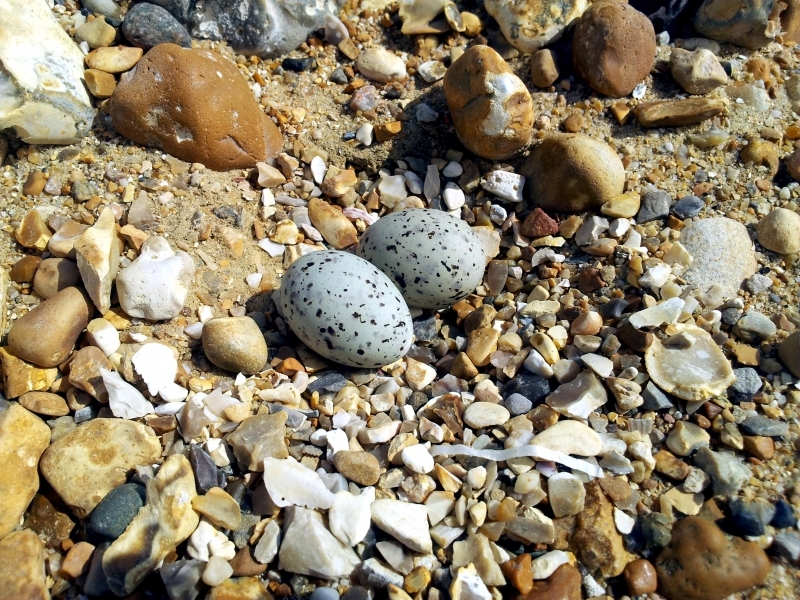 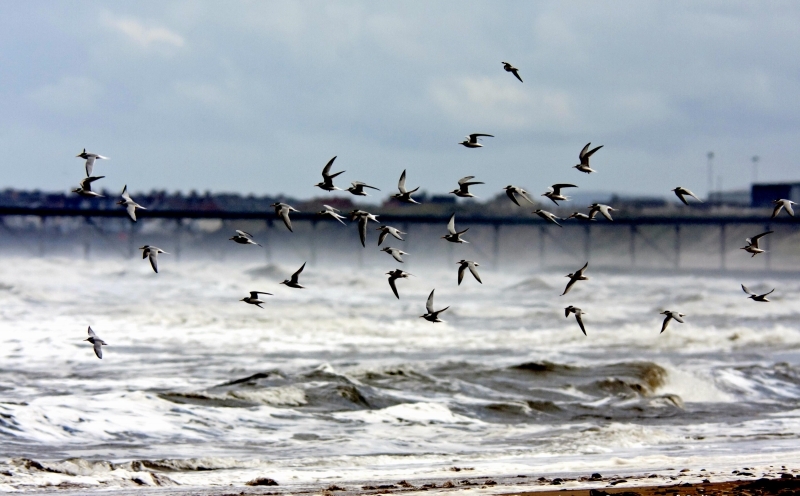 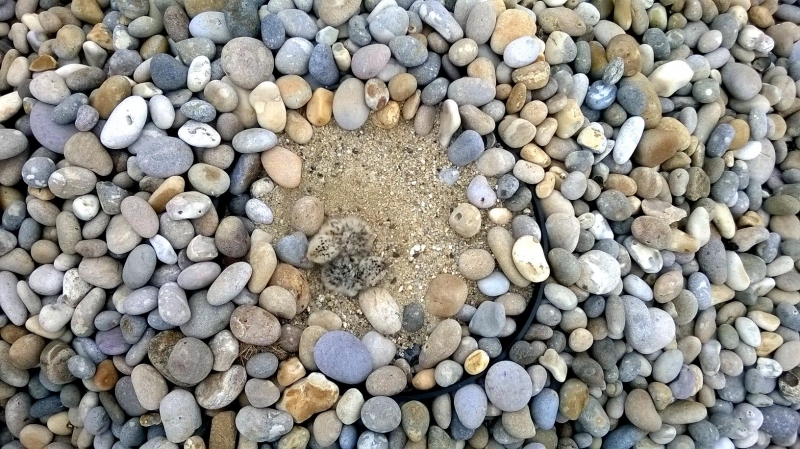 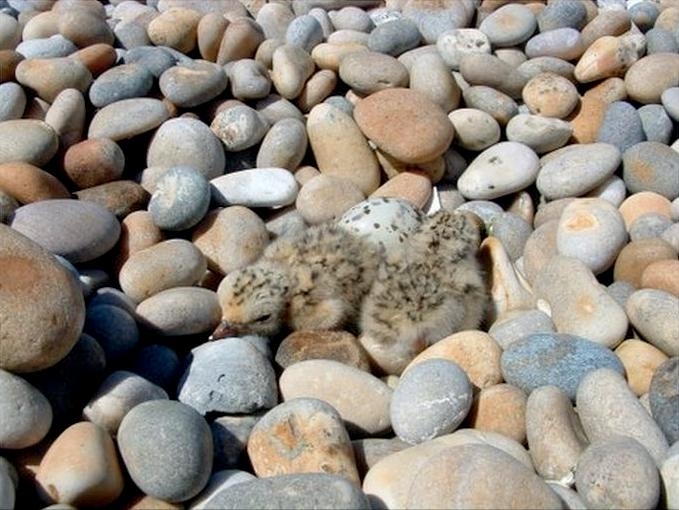 The nest is a bare scrape or shallow depression on the ground, usually on beaches of sand, pebbles, shingle, shell fragments, coral fragments or rock above the high tide-line. 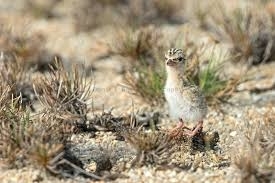 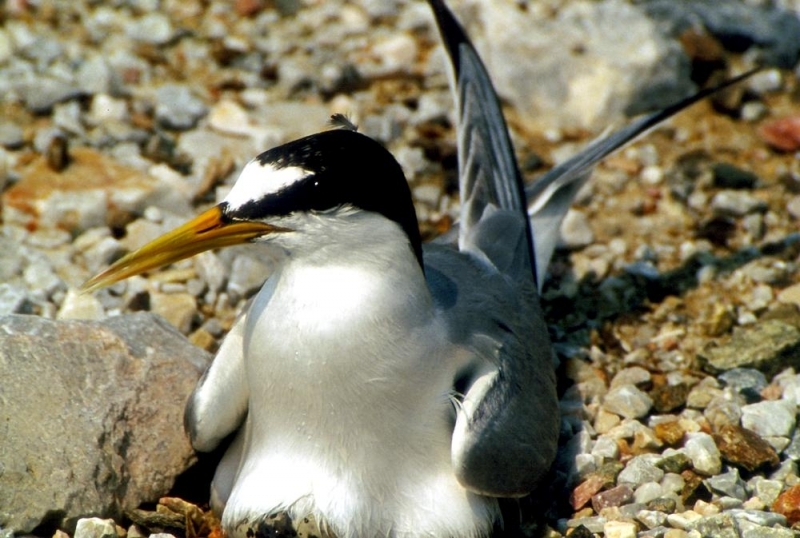 It may sometimes nest in more marshy habitats, close to estuaries or adjacent to coastal lakes. 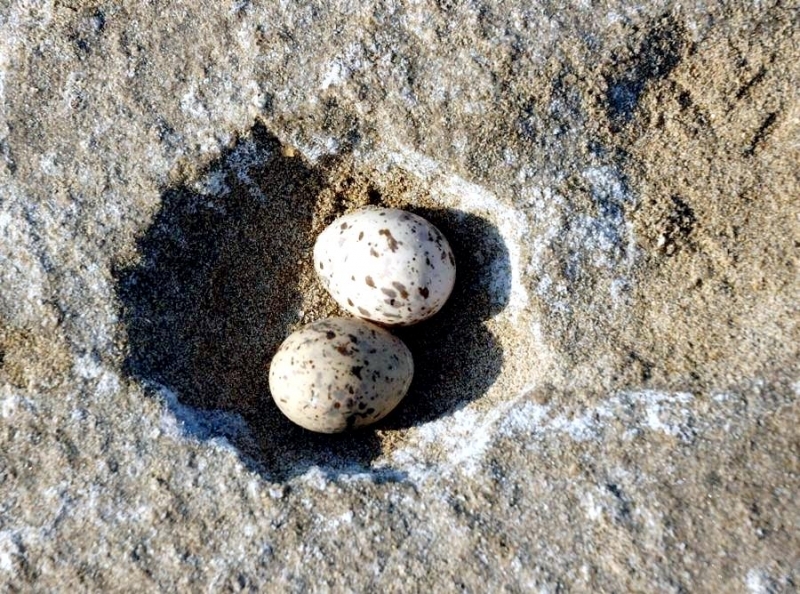 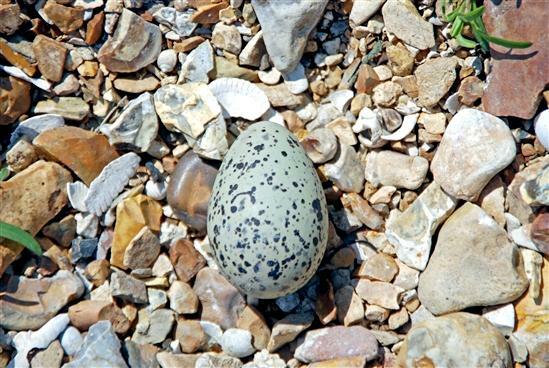 Both adults incubate the clutch of 1-3 well-camouflaged eggs for a period of 17-22 days. 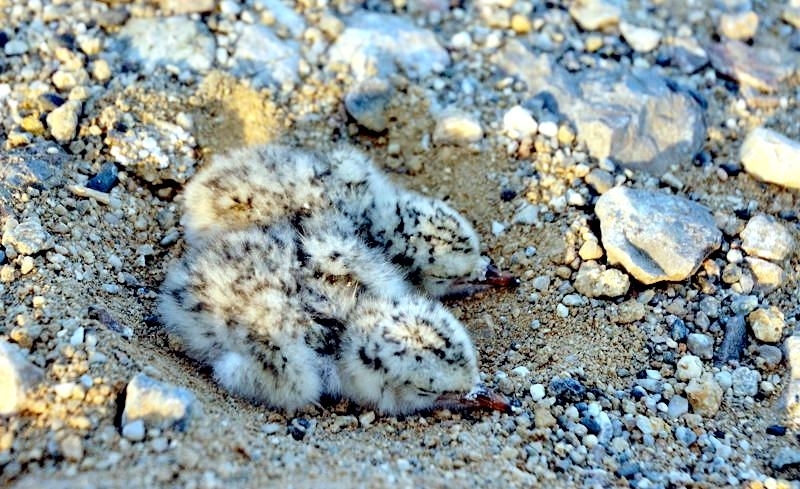 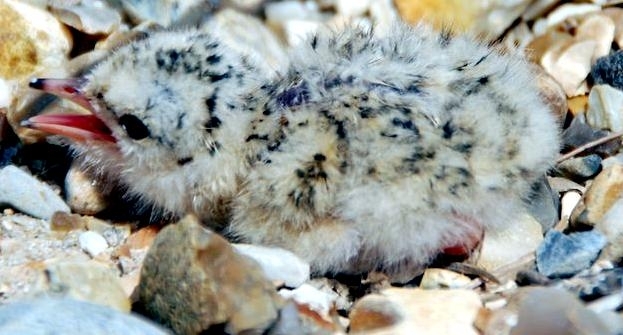 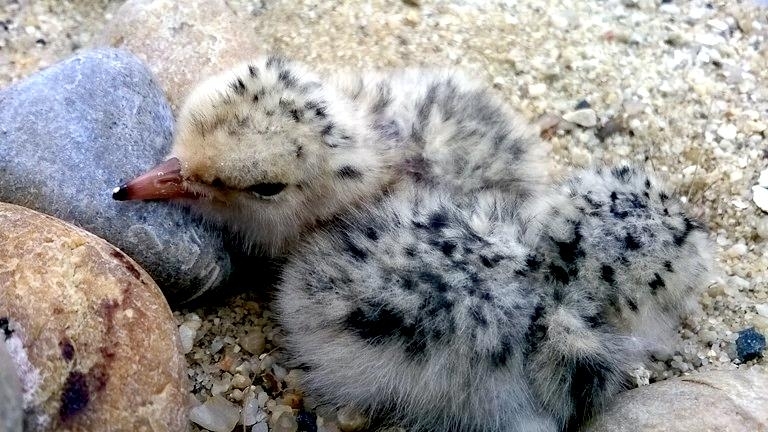 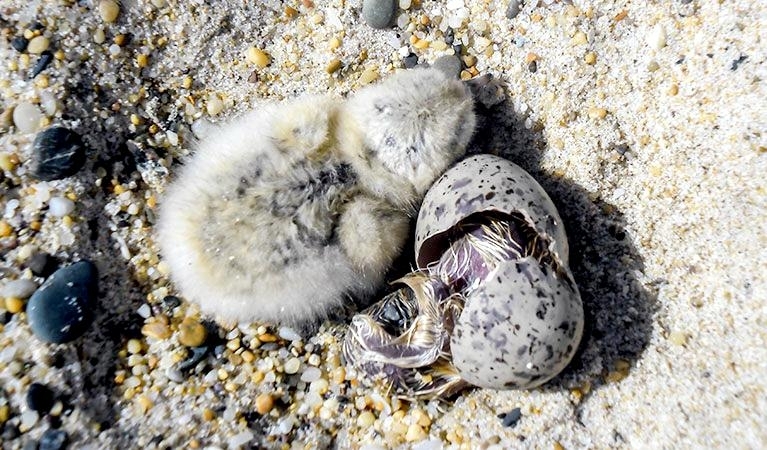 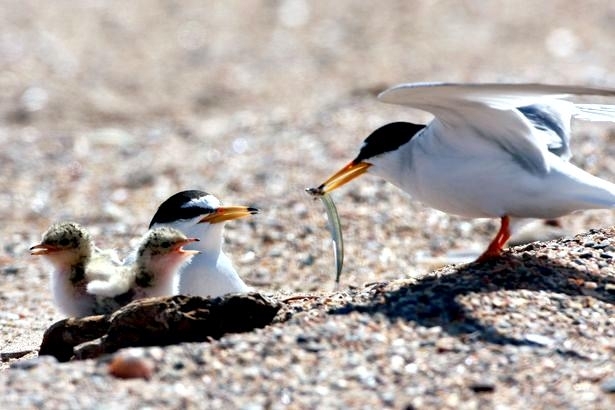 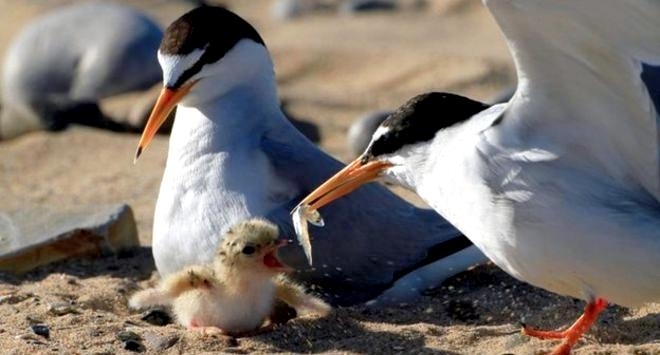 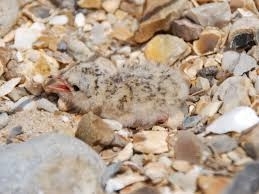 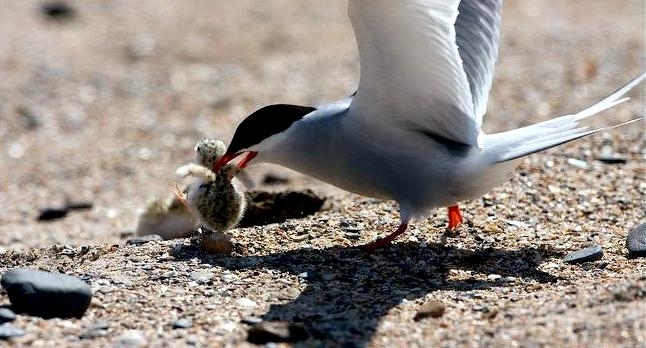 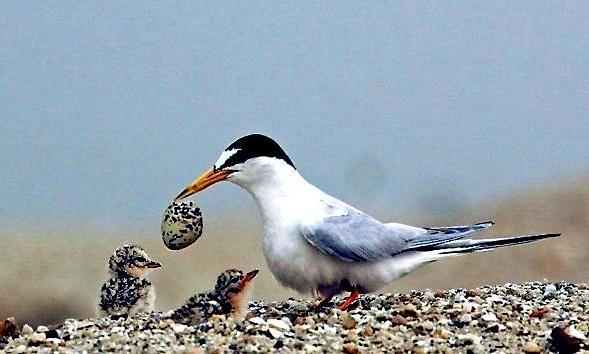 The Little Tern chicks are fed with a liquid mix of fish for around three days, after which the adults bring back small whole fish that are fed to the juveniles head first. 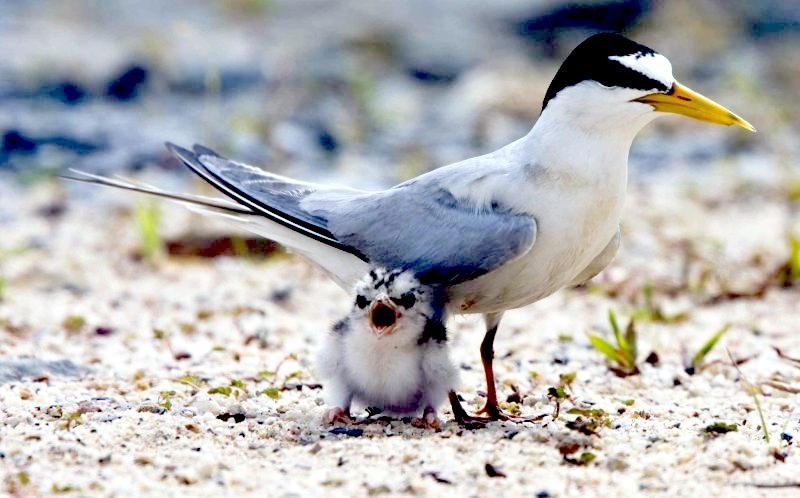 Both adults actively defend the nest against intruders during the fledgling period, which lasts for between 19-31 days. 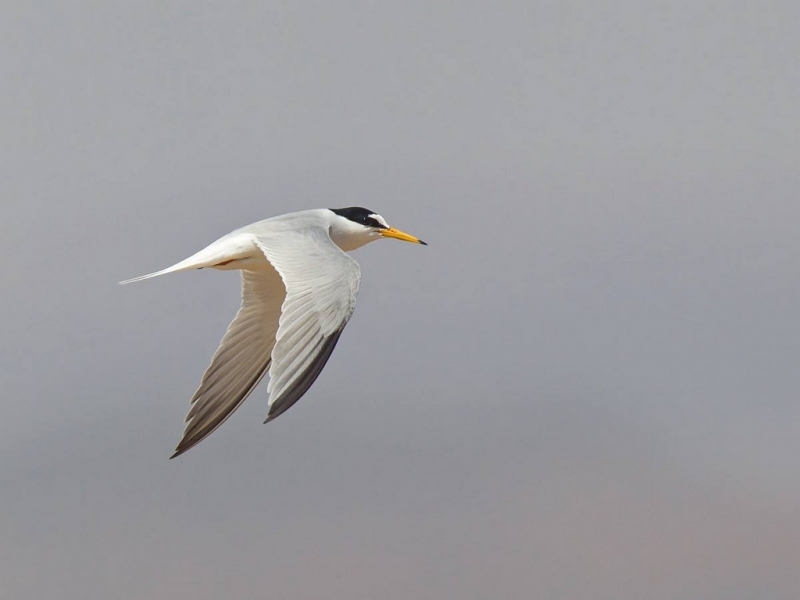 A widespread but patchily distributed species, the Little Tern occurs throughout Europe, Africa, the Middle East, Asia and Australasia. 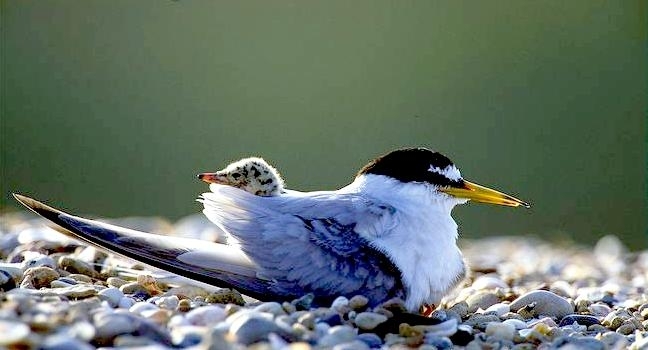 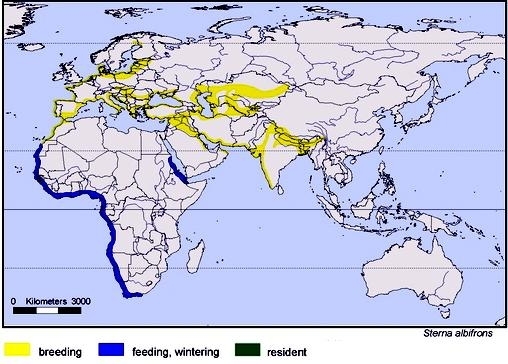 During the breeding season, the Little Tern ranges throughout Europe, southern, eastern and south-eastern Asia, Indonesia and Australasia. 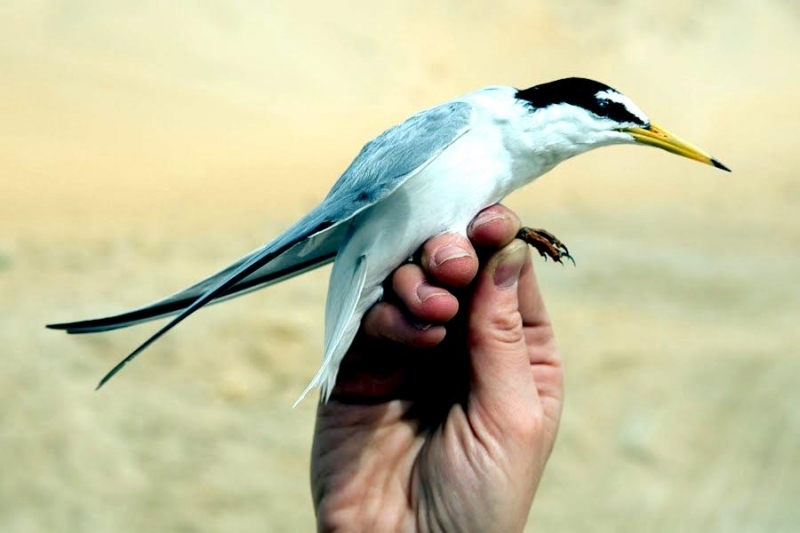 It migrates outside of the breeding season, expanding its range to include most of the coast of Africa, the Arabian Peninsula and the western Indian and Pacific Oceans. 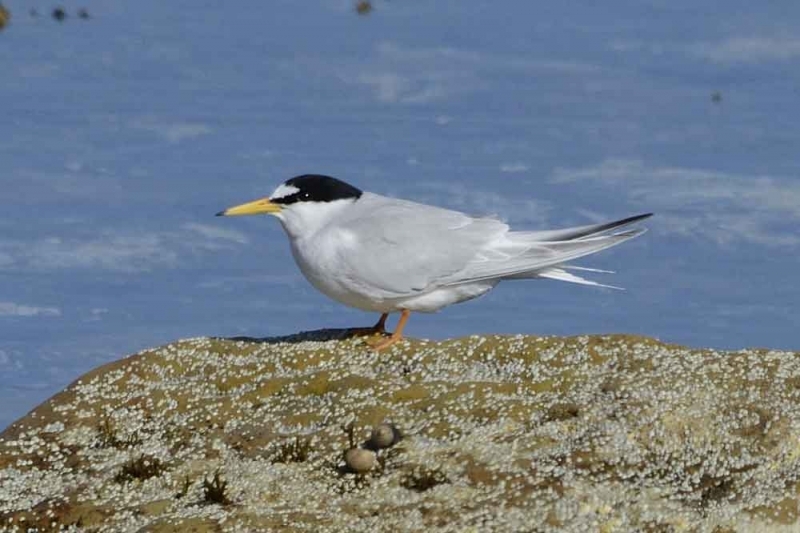 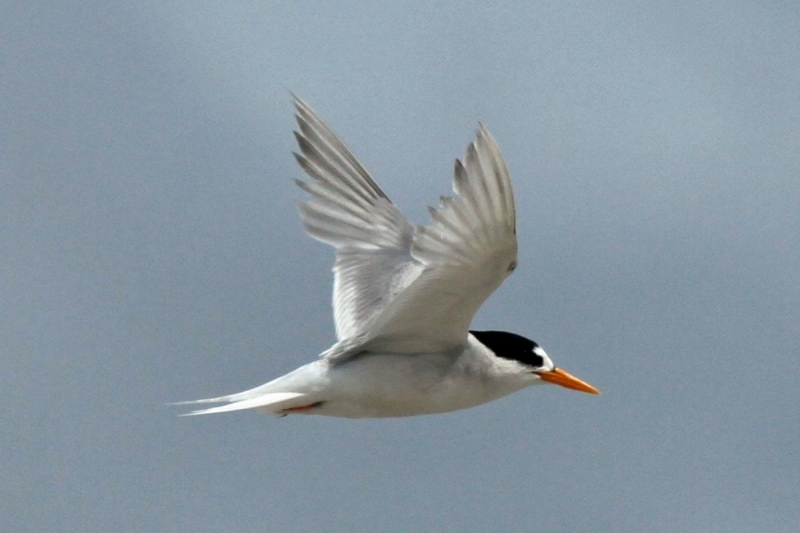 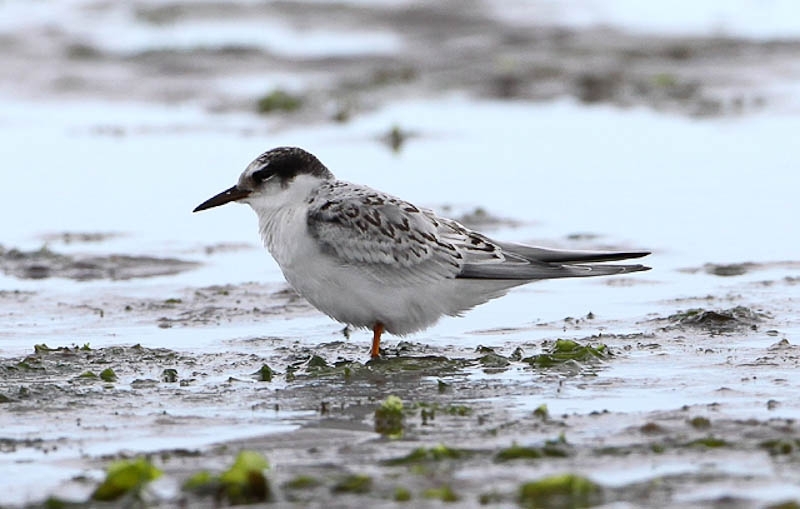 Generally found in sheltered coastal environments, the Little Tern commonly inhabits lagoons, estuaries, river mouths and deltas, lakes, bays, harbors and inlets. 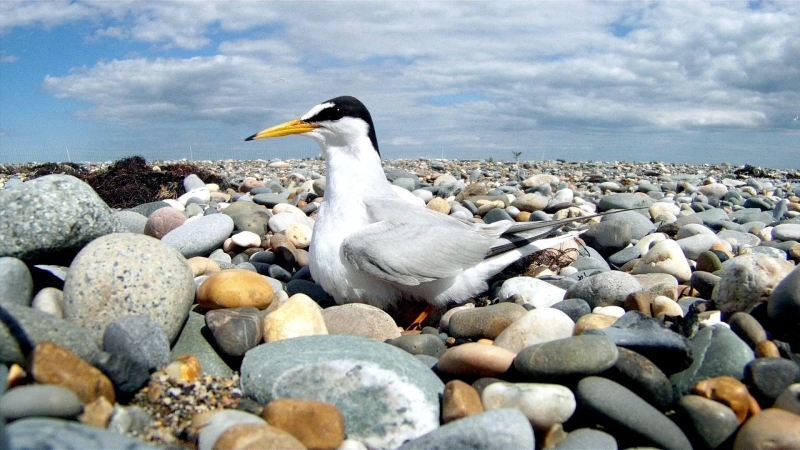 It may also be found further inland, sometimes up to several kilometers from the sea. 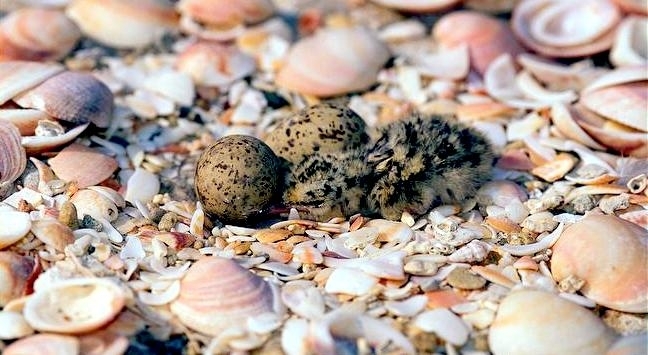 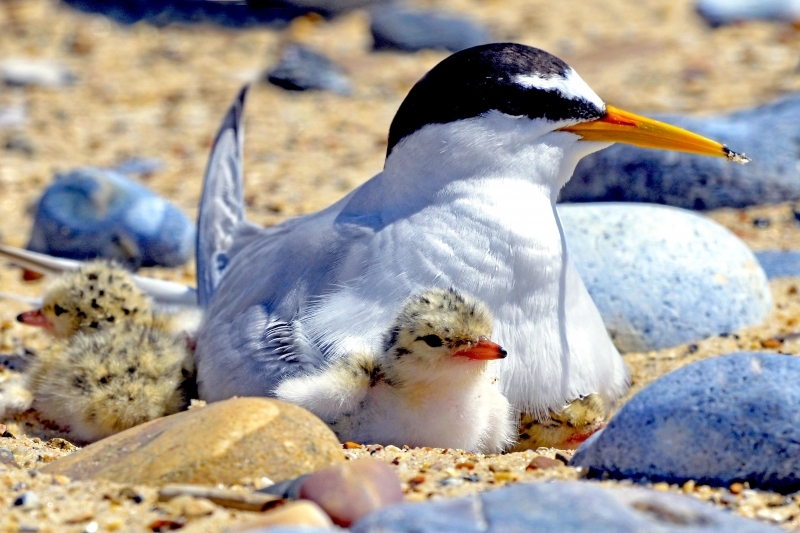 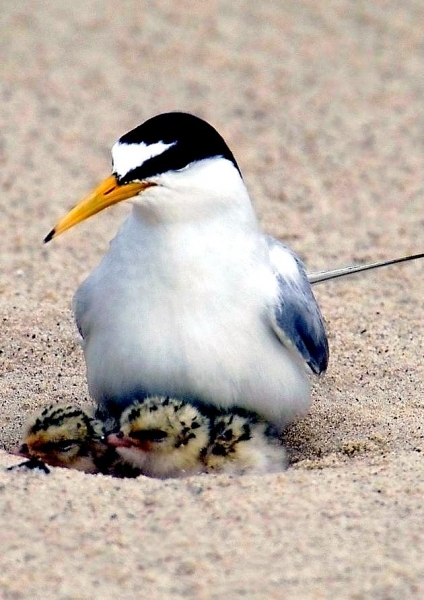 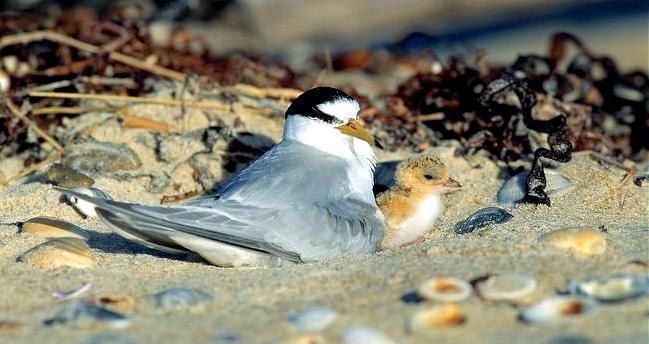 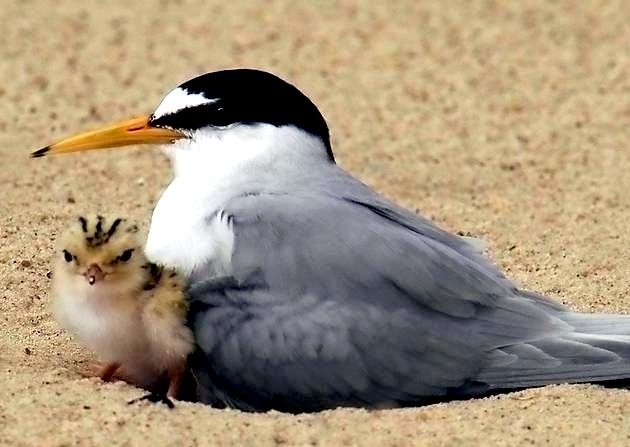 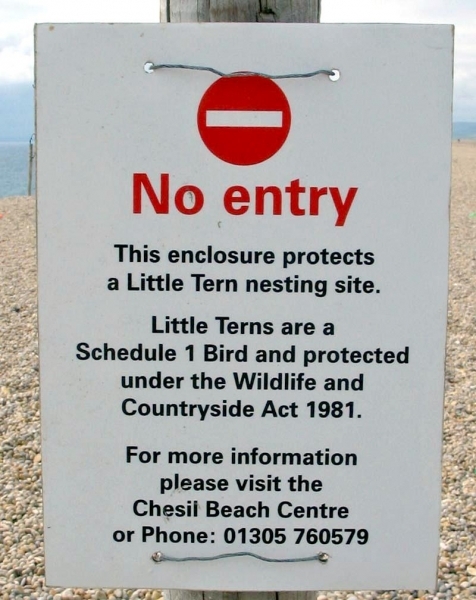 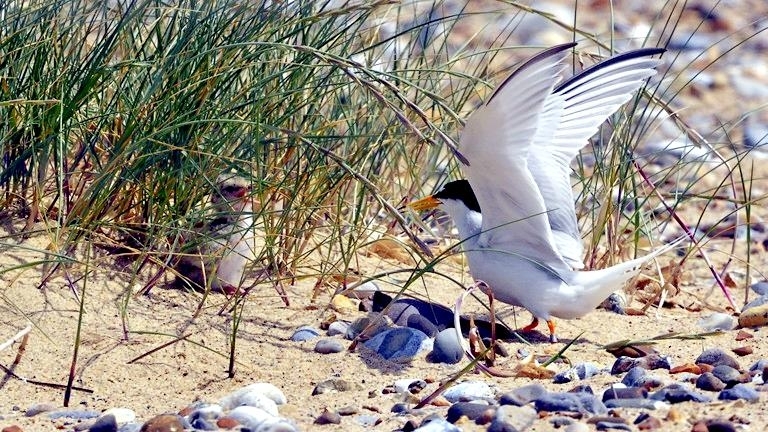 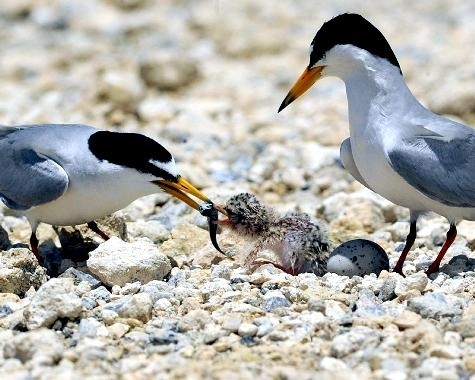 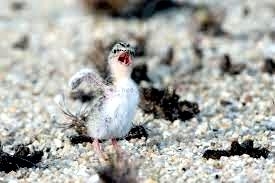 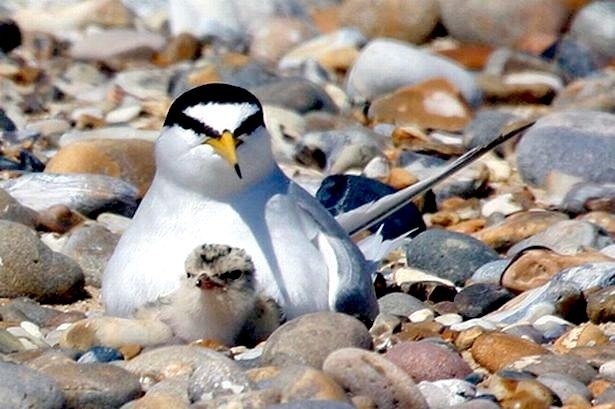 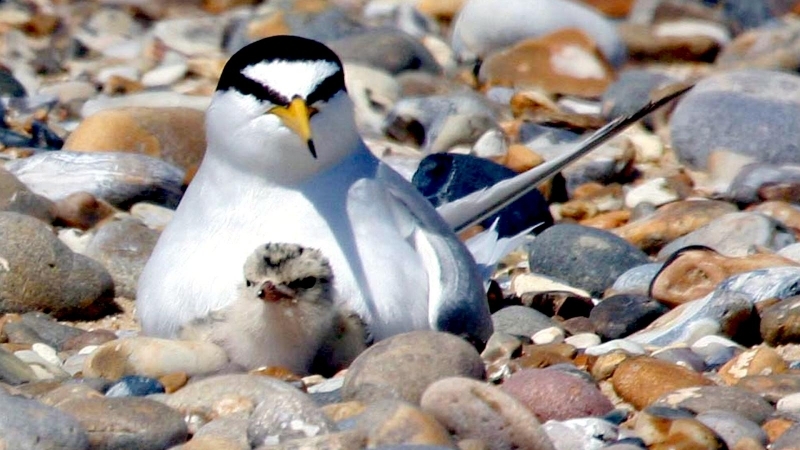 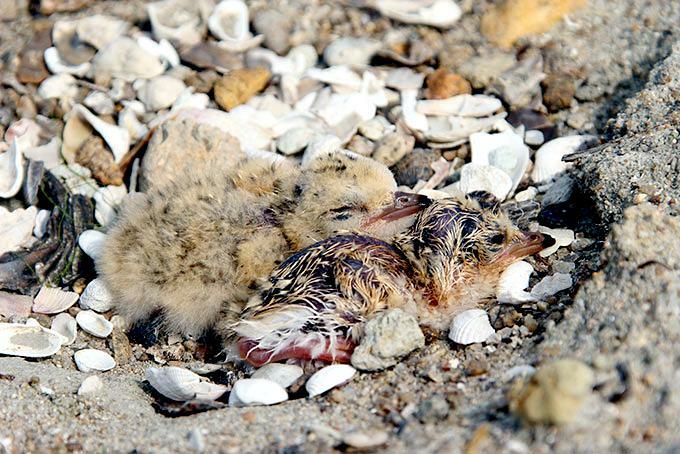 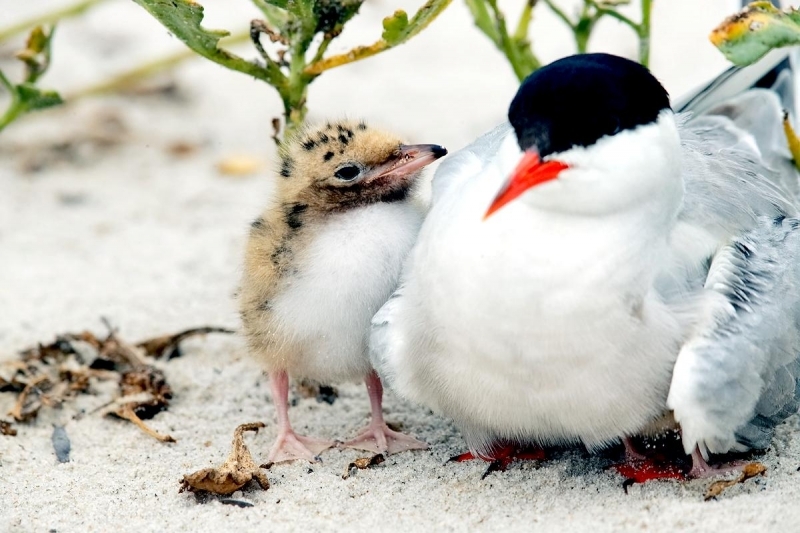 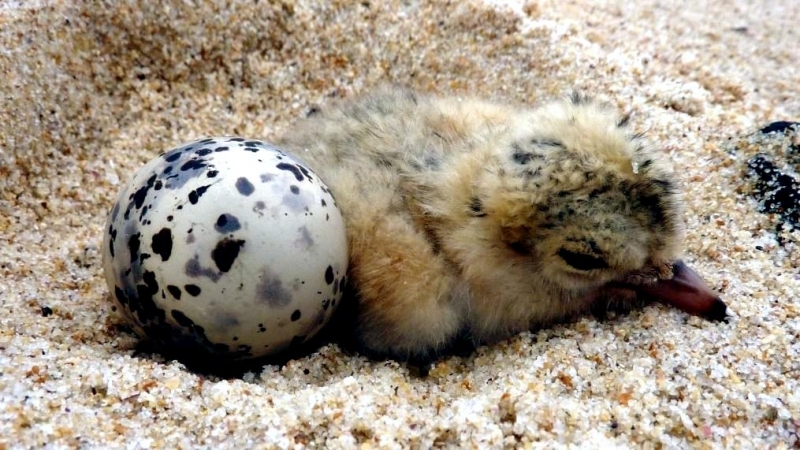 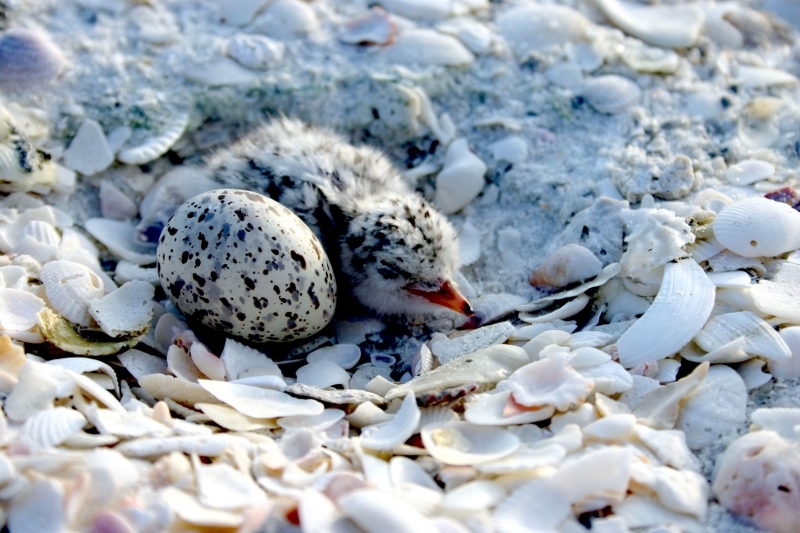 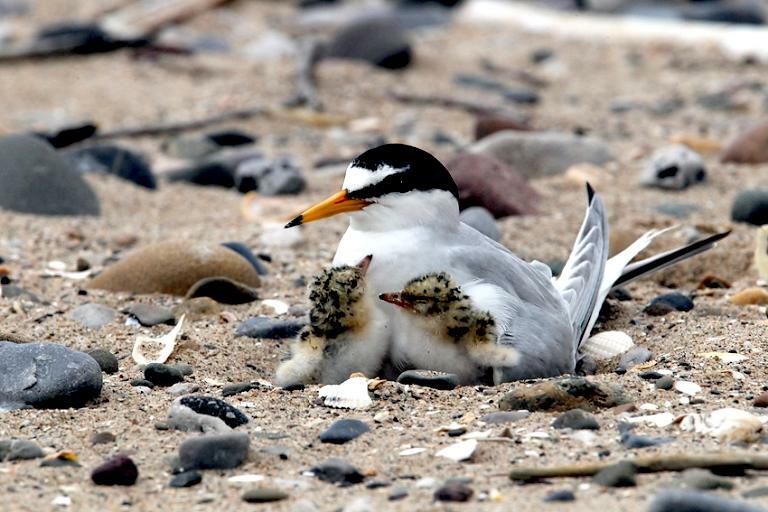 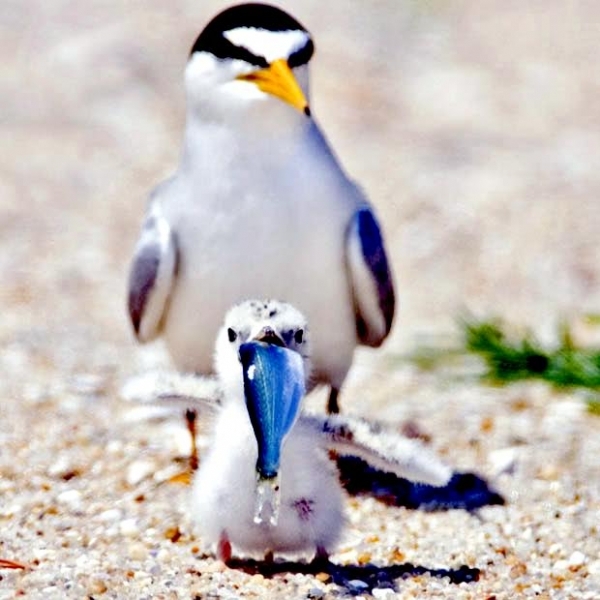 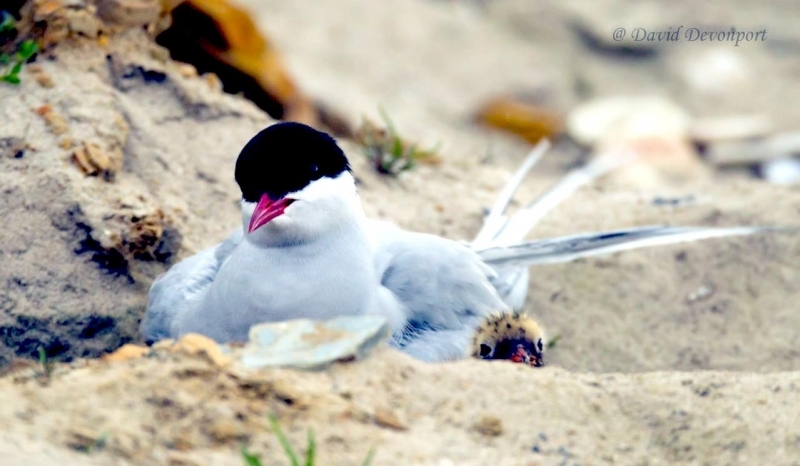 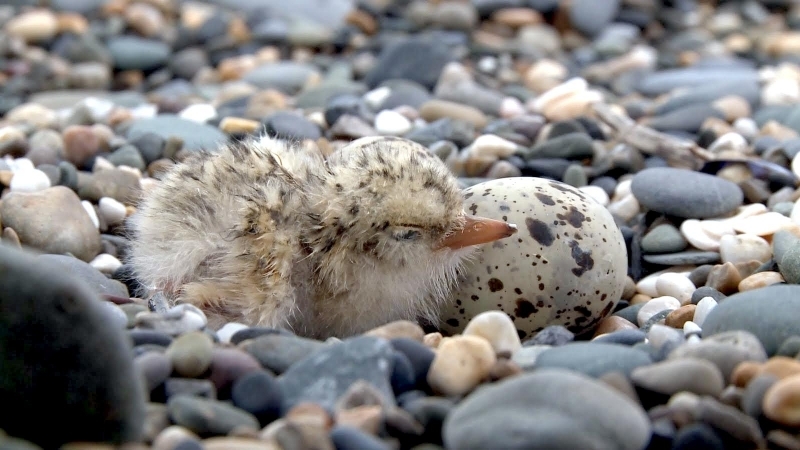 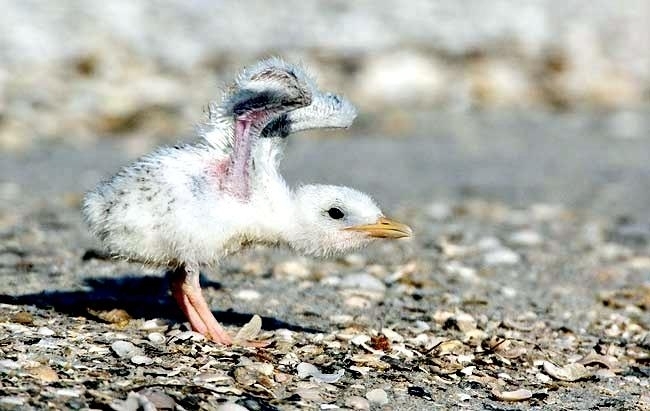 The Little Tern typically nests on barren or sparsely vegetated beaches, islands and spits composed of sand, shingle, shell fragments, pebbles, rocks or coral fragments. 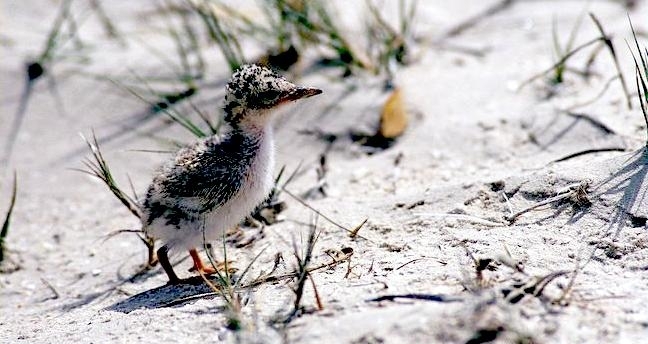 It may also nest on dry mudflats in grassy areas, on wide, flat or gently sloping sandy ocean beaches and also occasionally in sand-dunes. 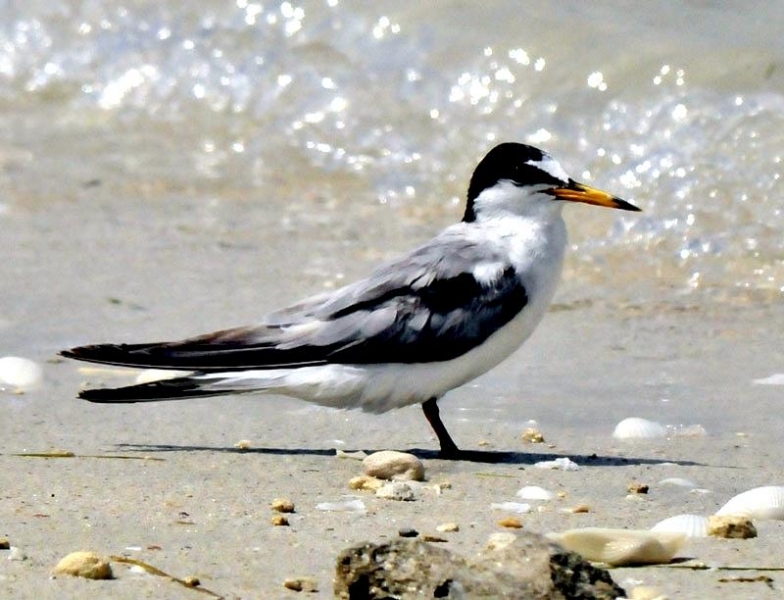 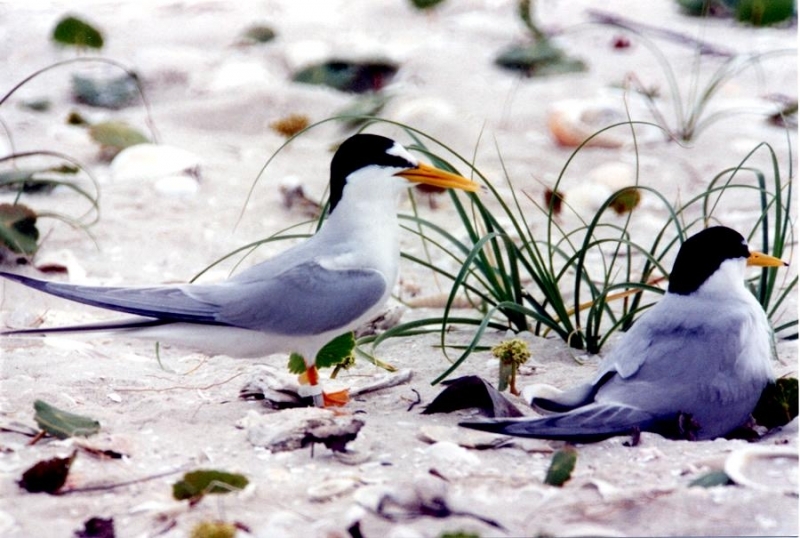 On rare occasions, the Little Tern may be recorded on offshore islands or coral cays. 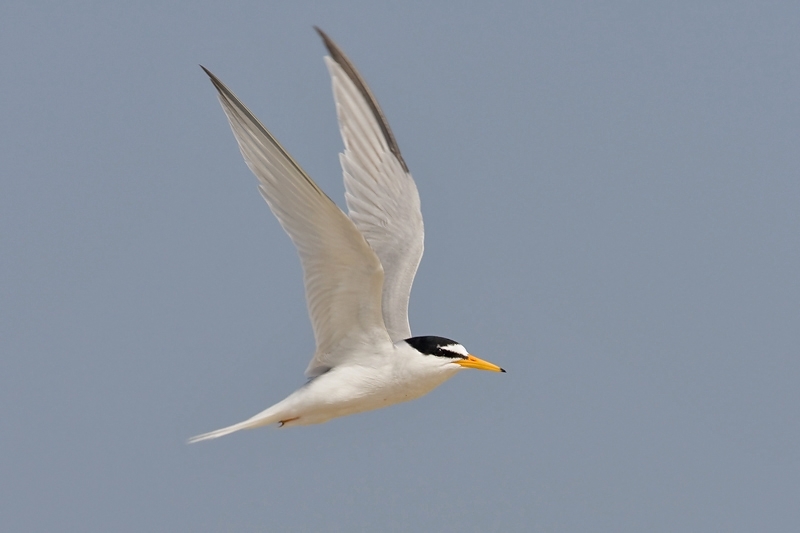 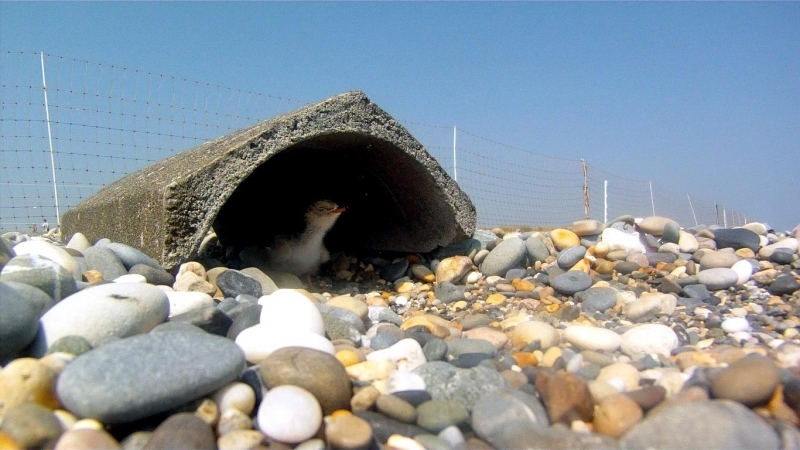 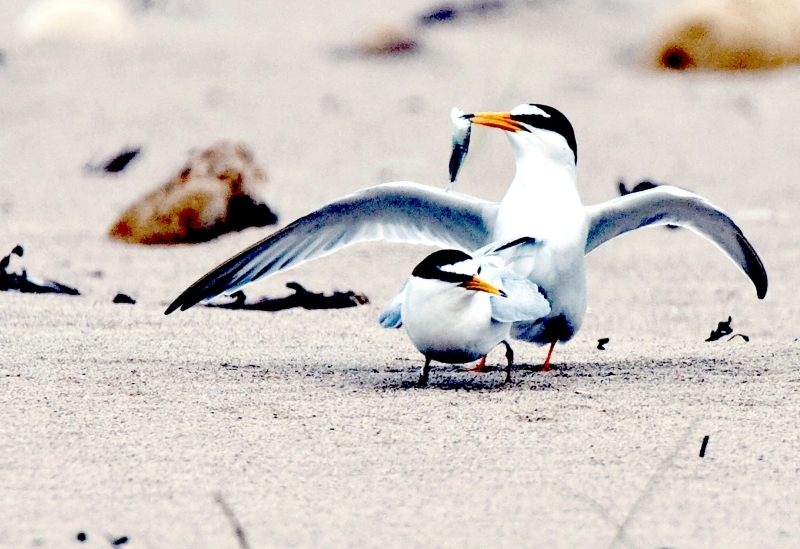 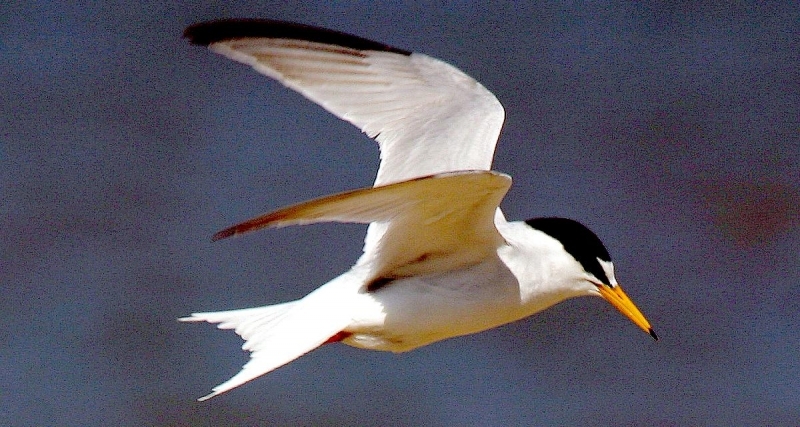 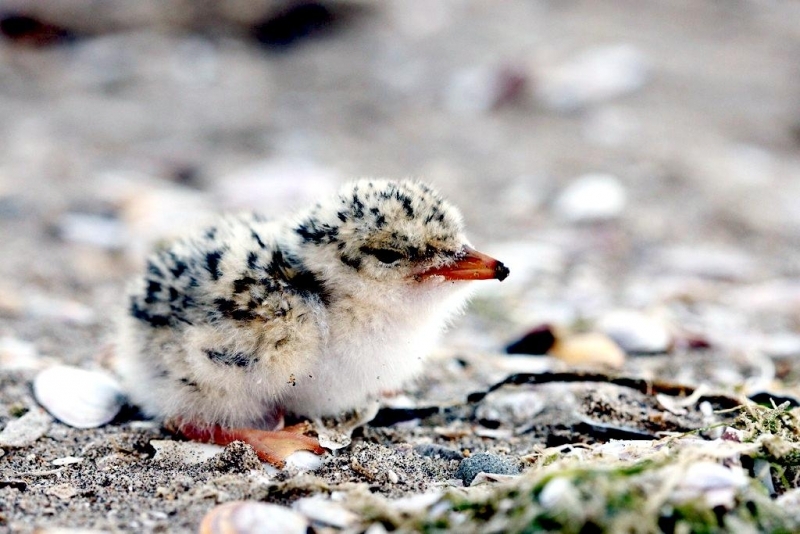 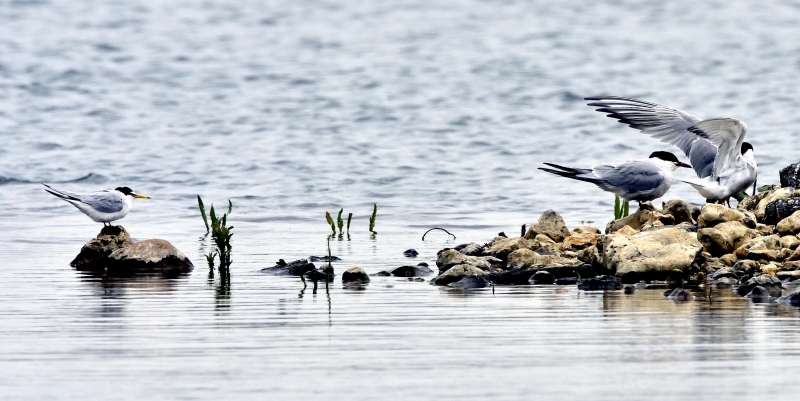 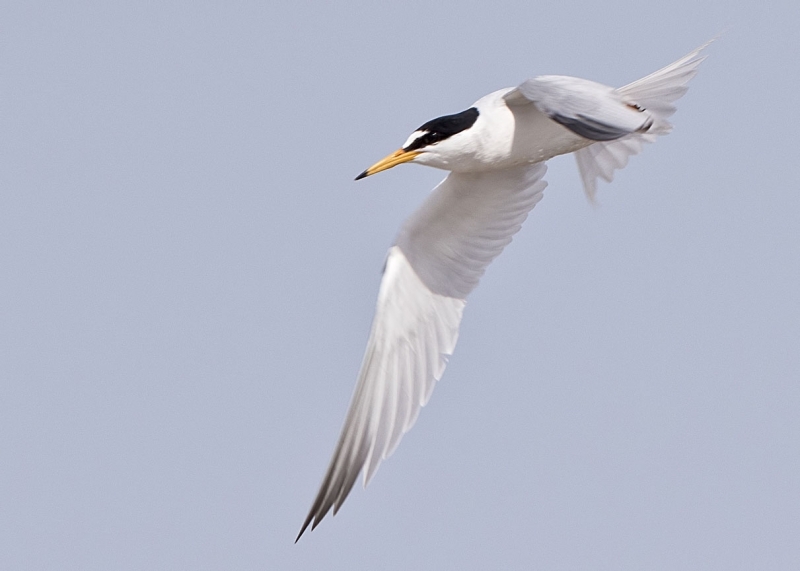 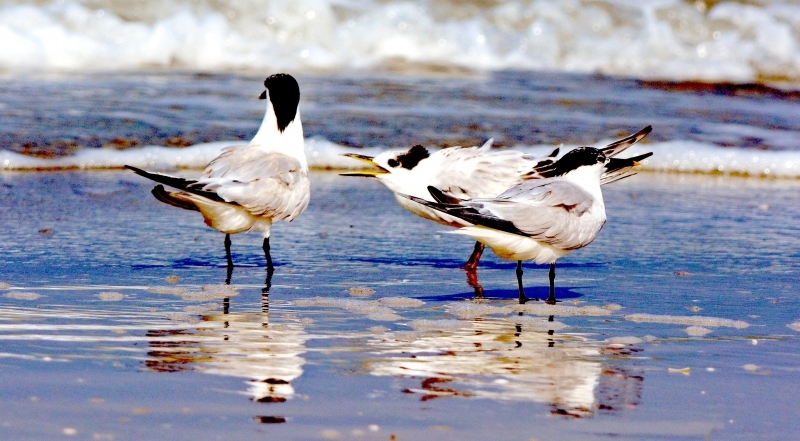 Outside of the breeding season, the Little Tern inhabits tidal creeks, coastal lagoons and salt-pans.